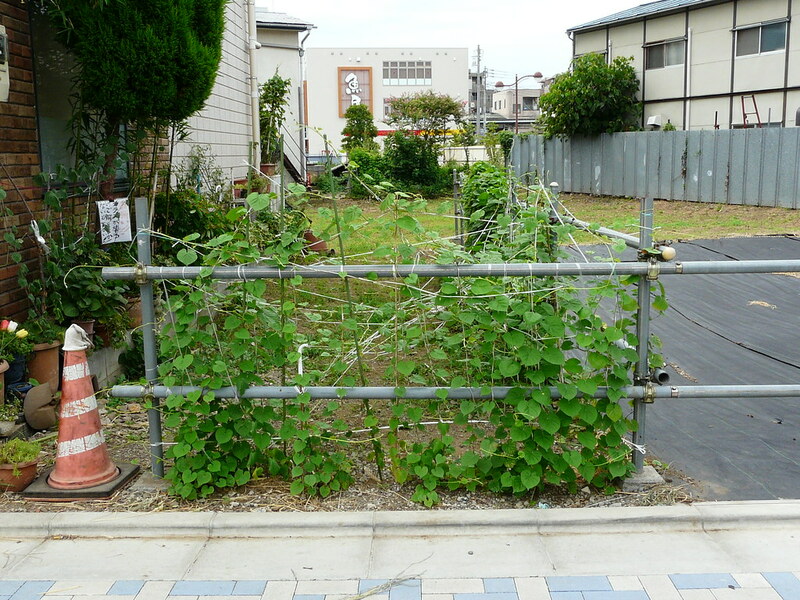 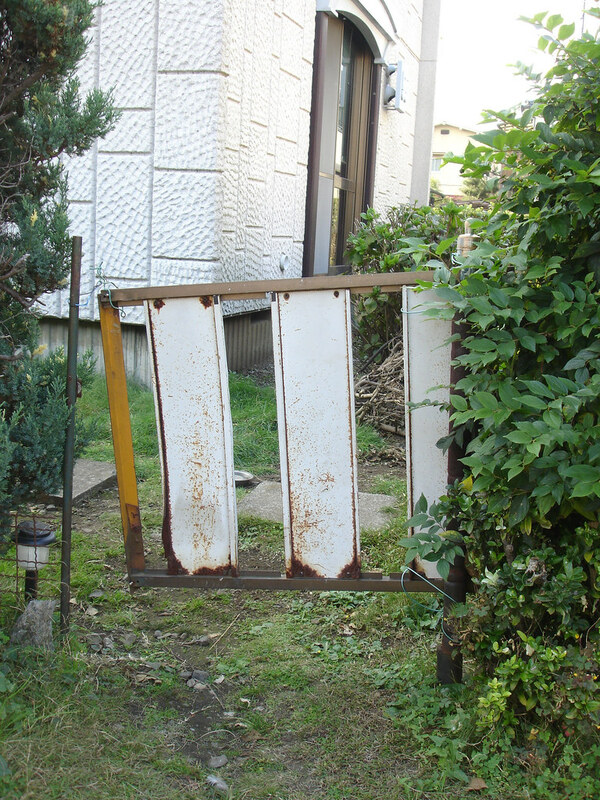 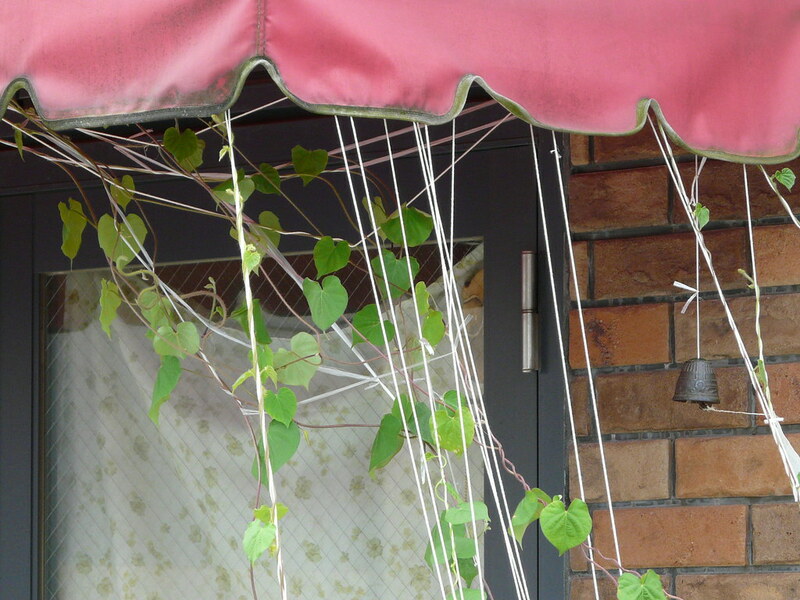 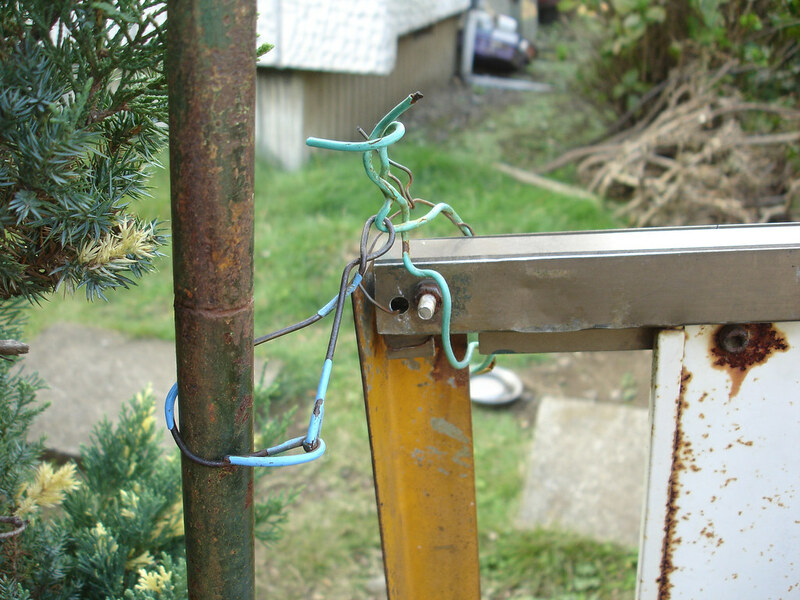 Garden gate held together with wire. 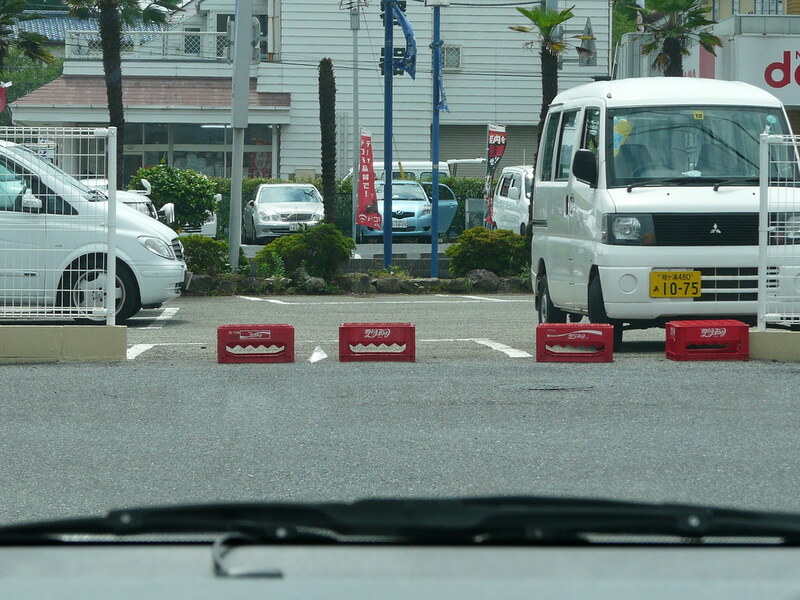 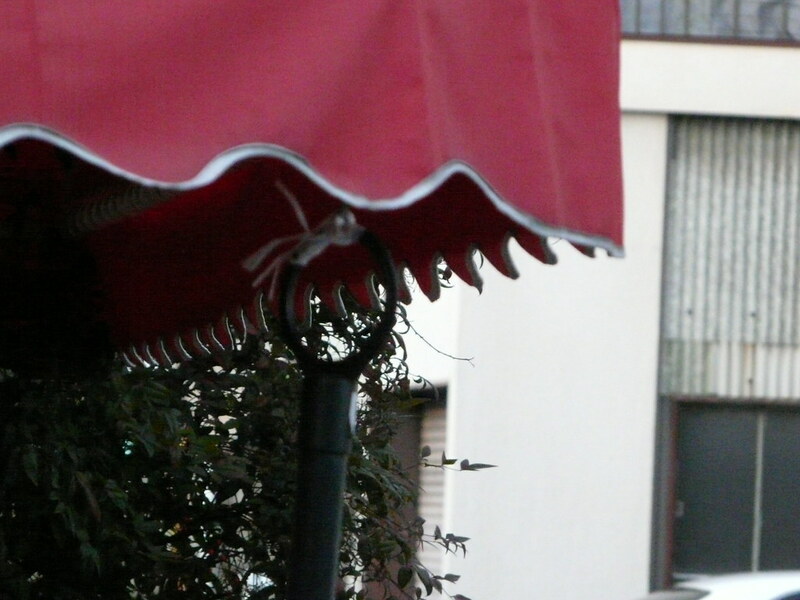 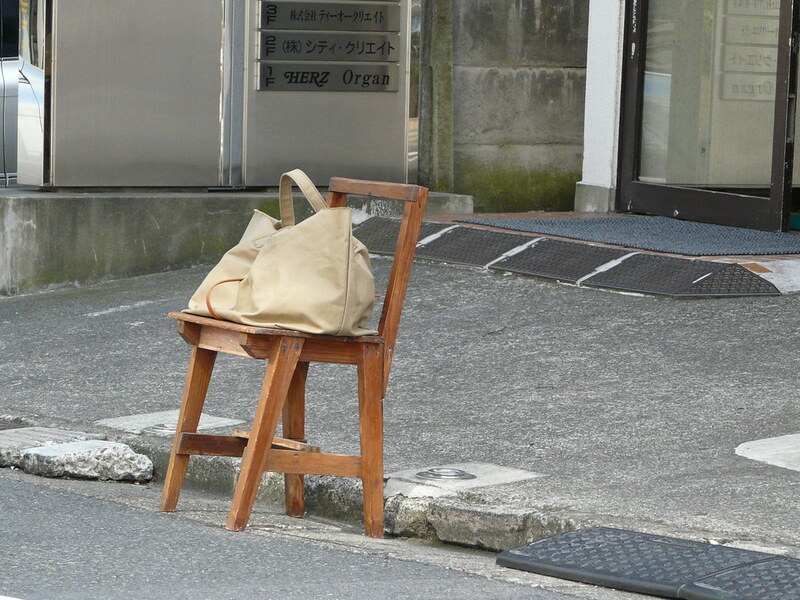 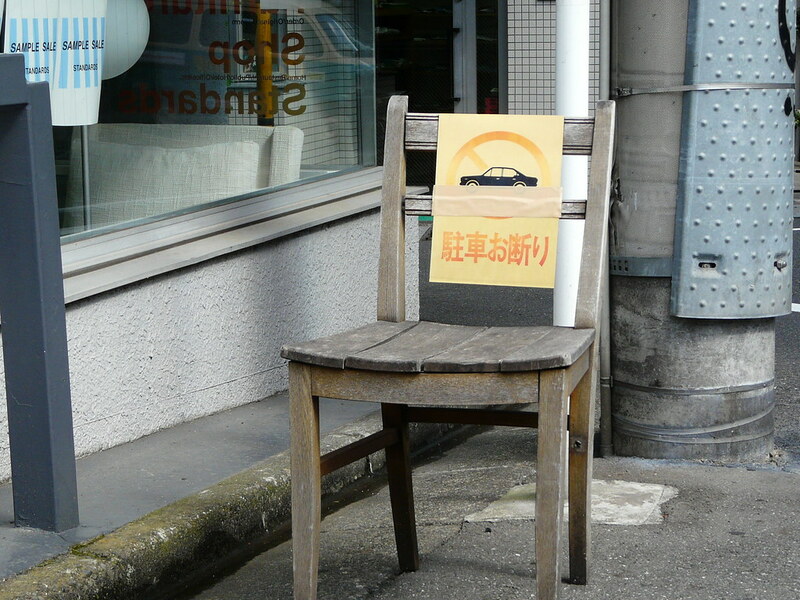 Chair used to signal location of store, and display products…as well as possibly discouraging parking. 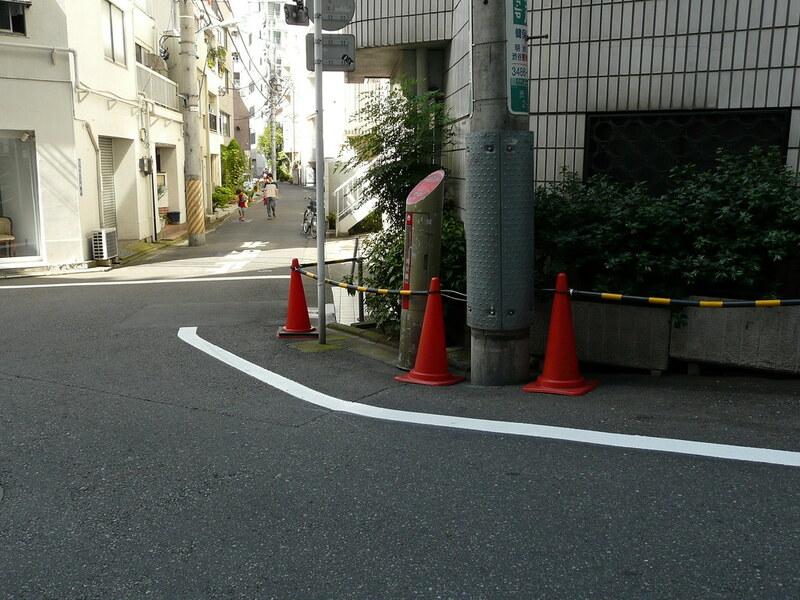 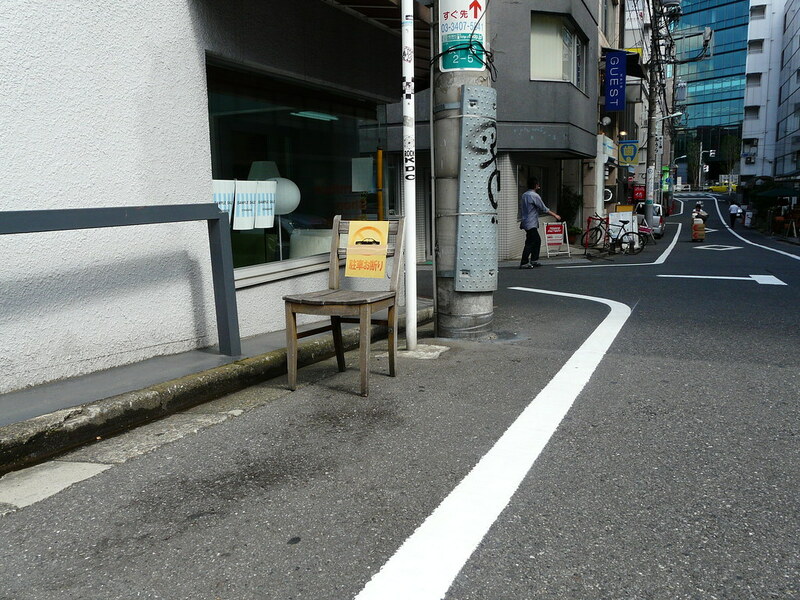 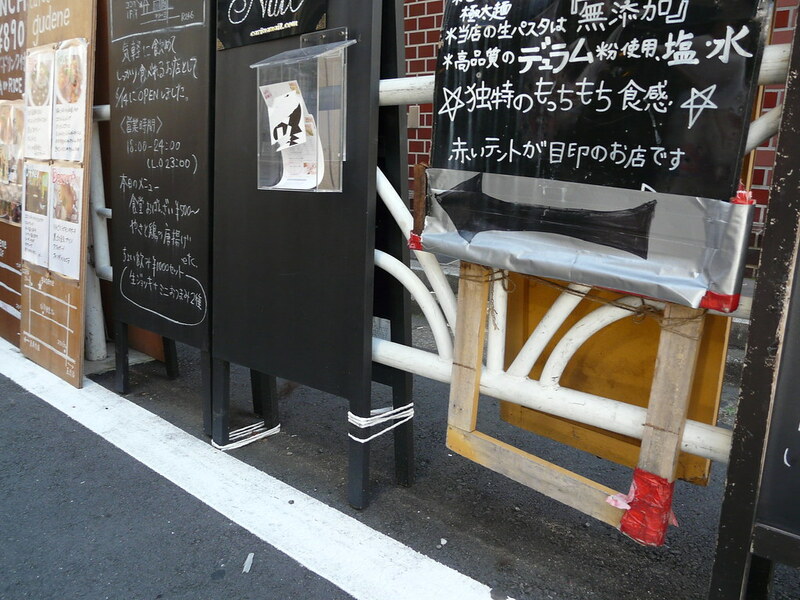 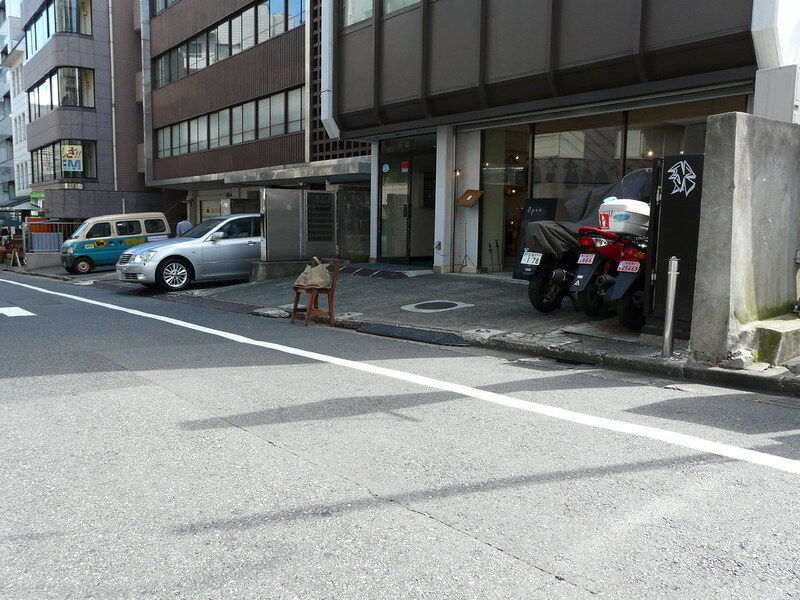 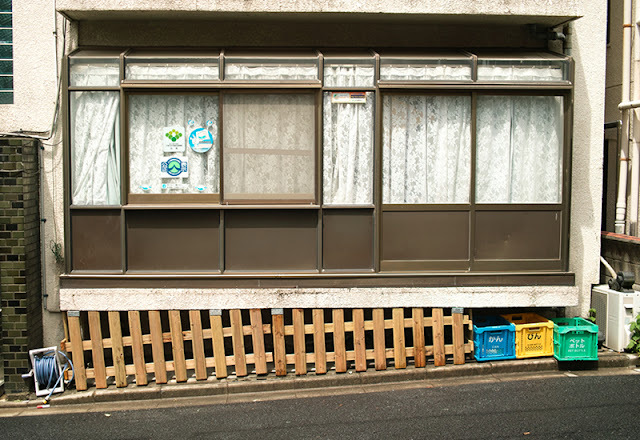 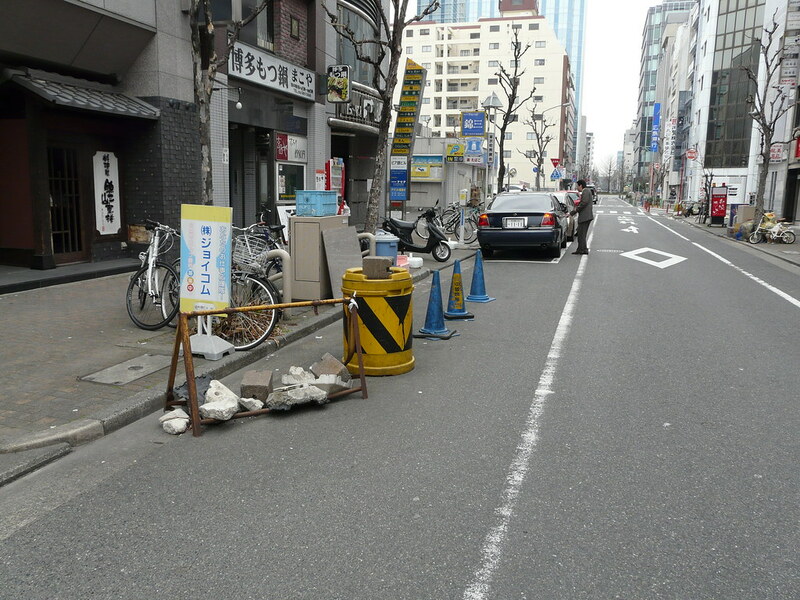 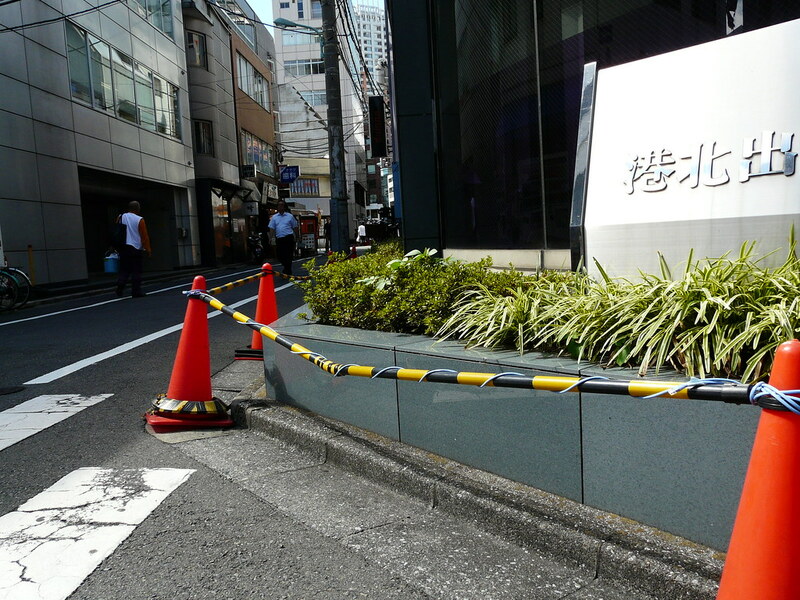 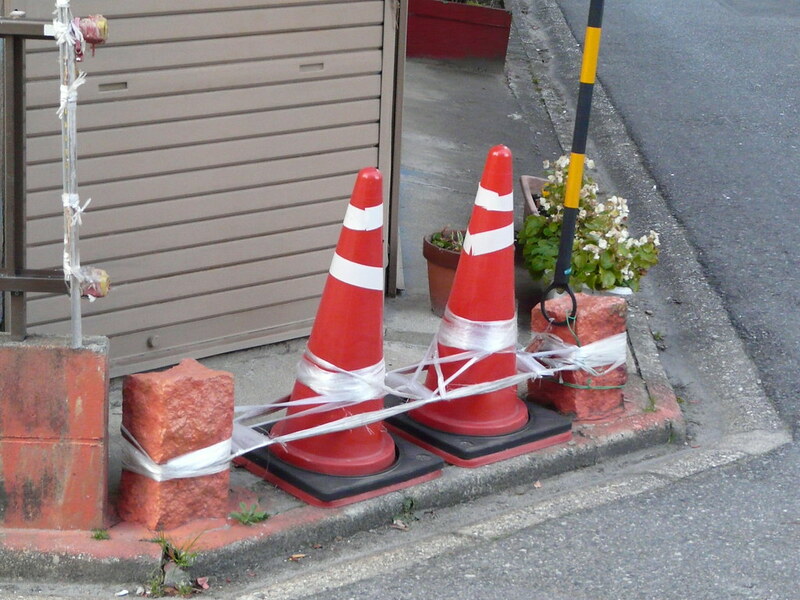 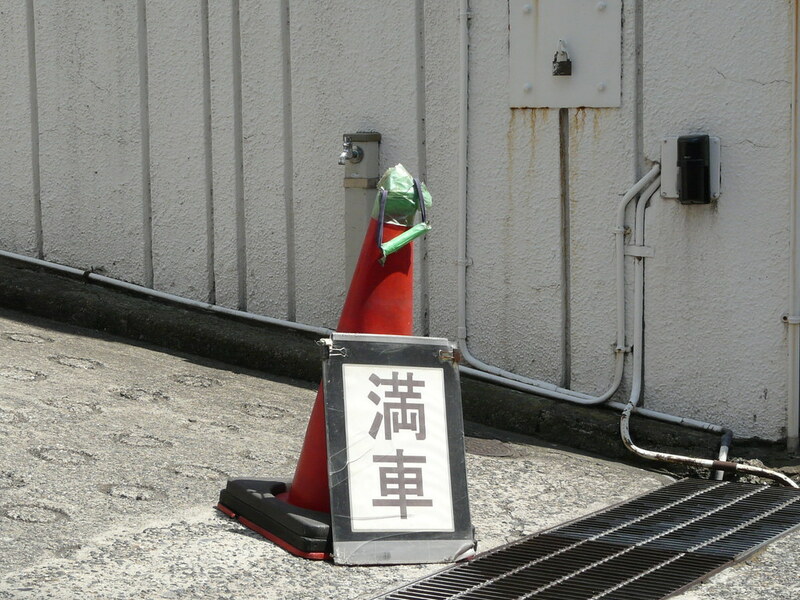 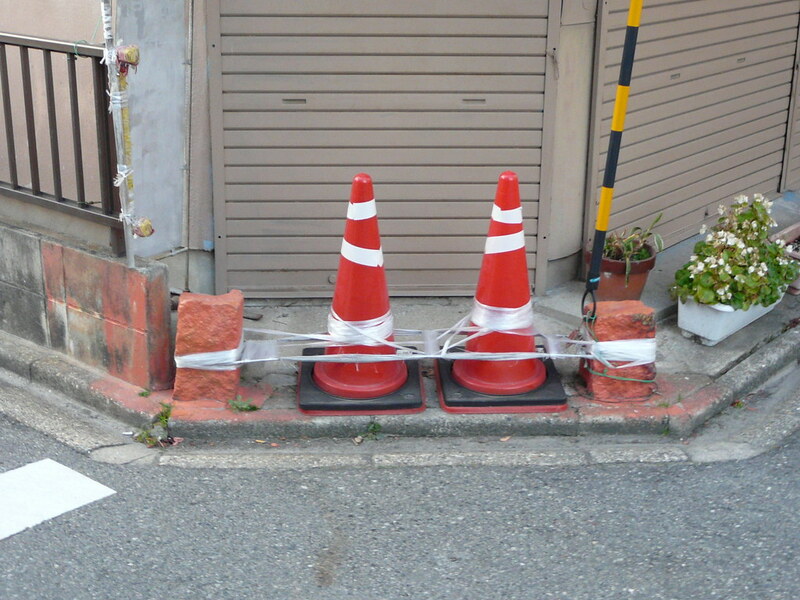 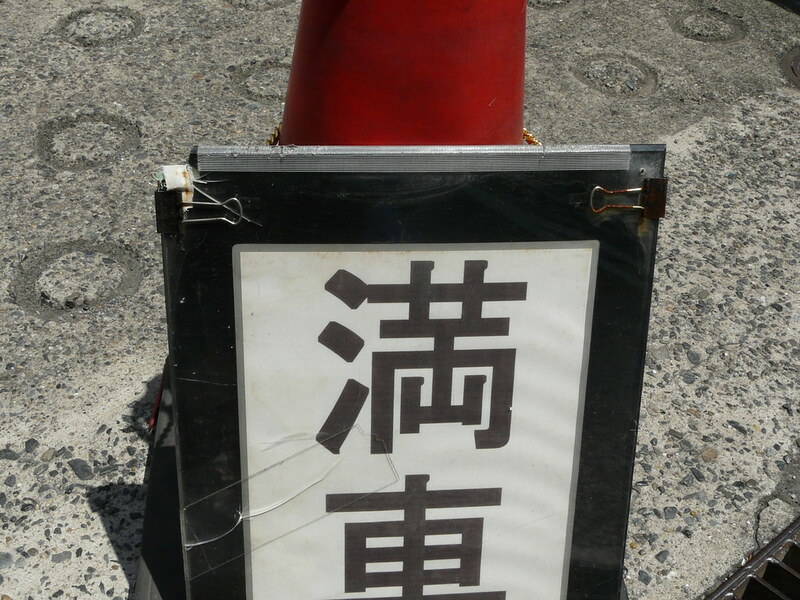 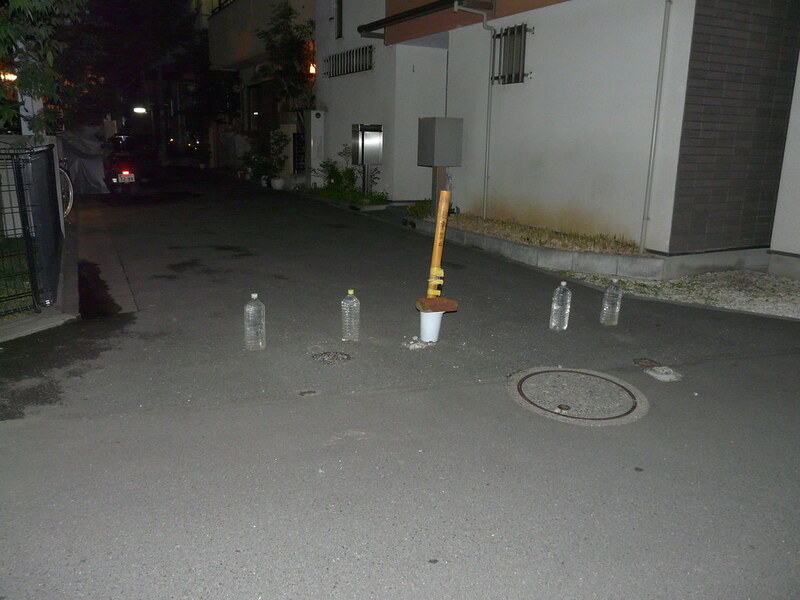 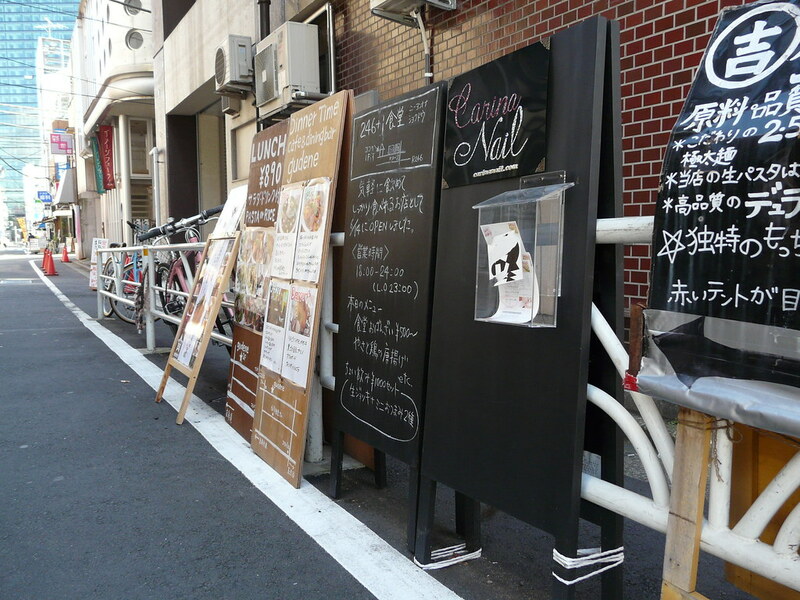 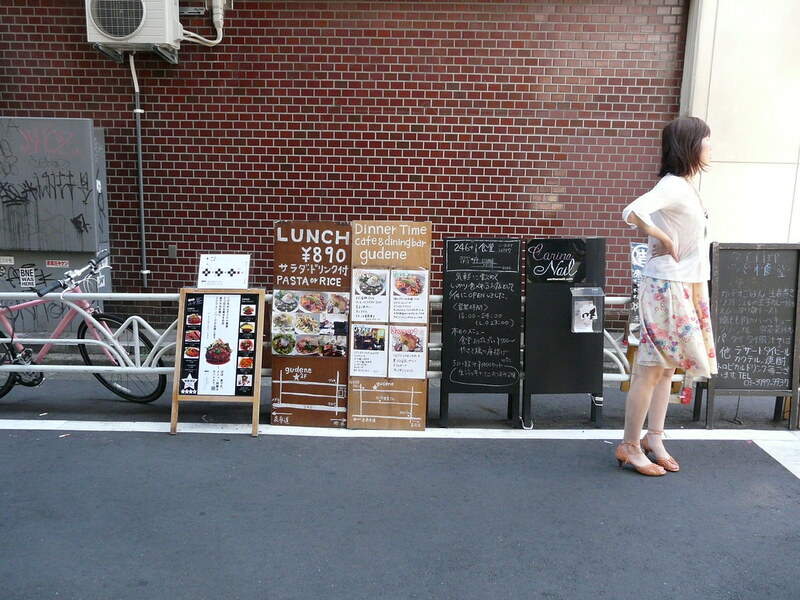 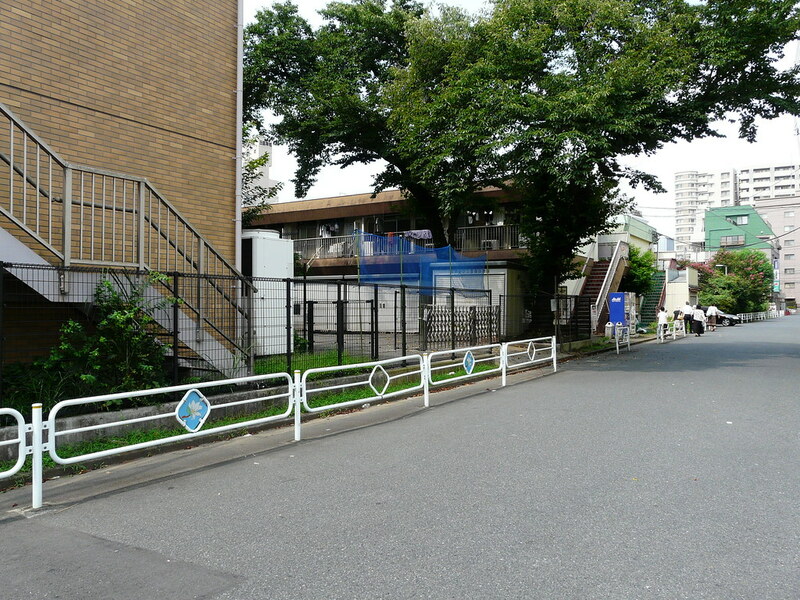 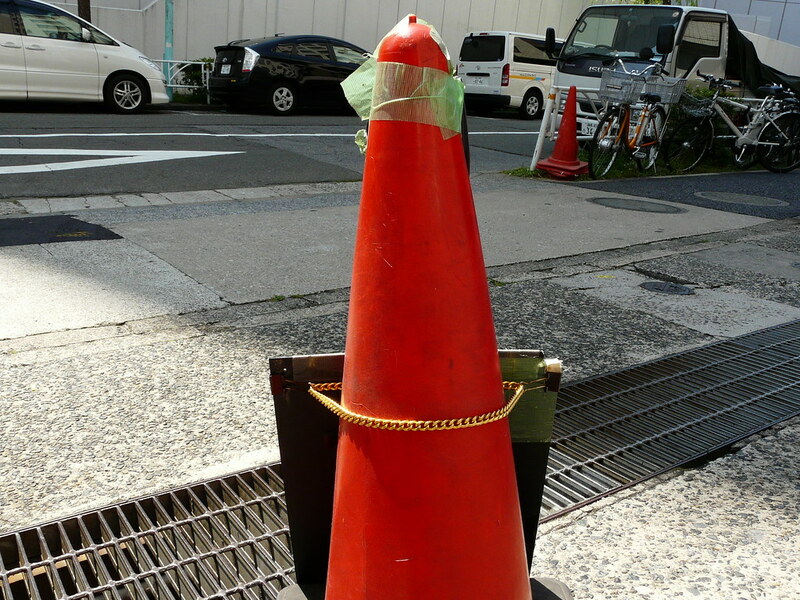 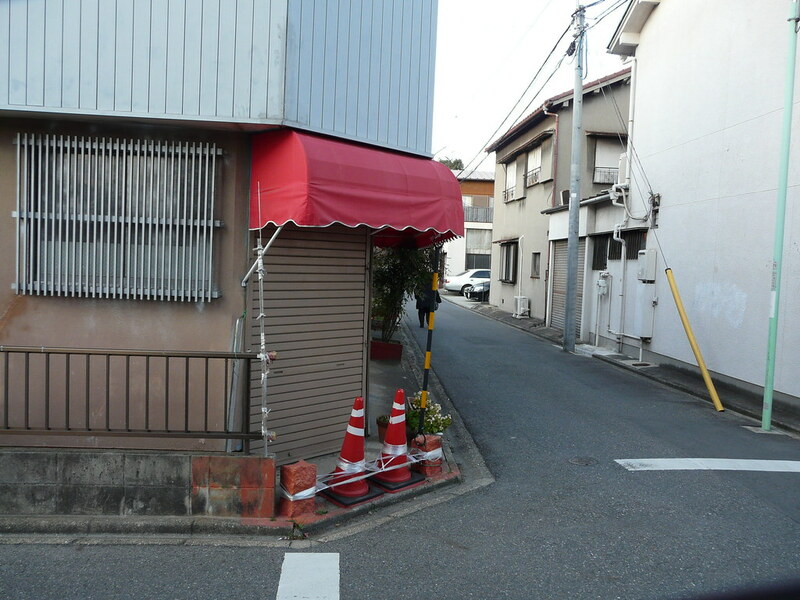 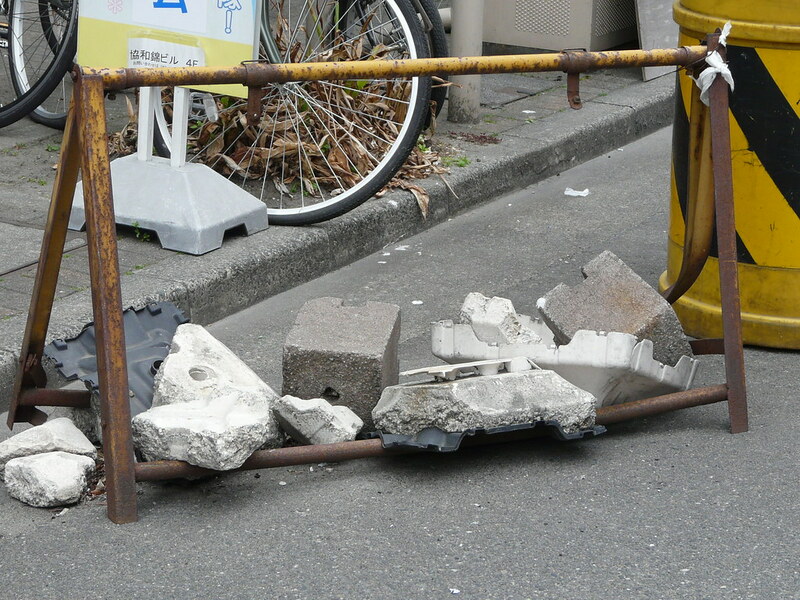 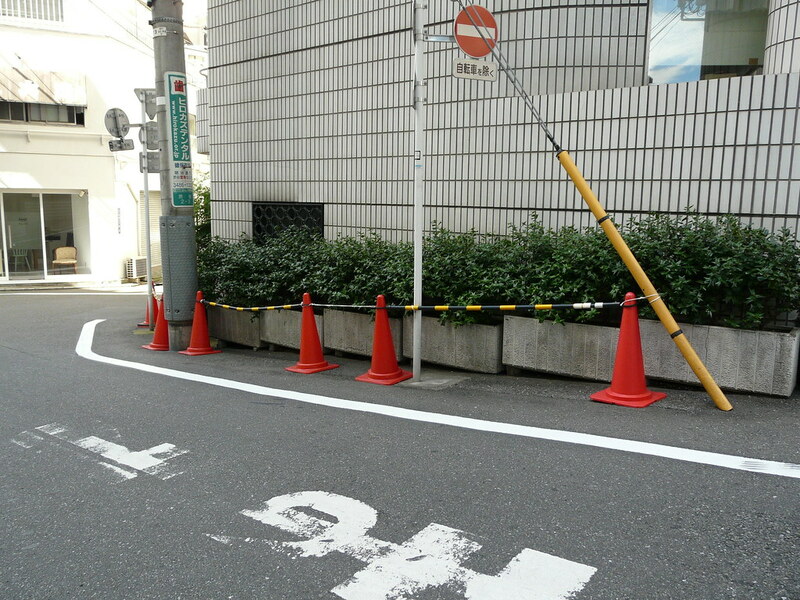 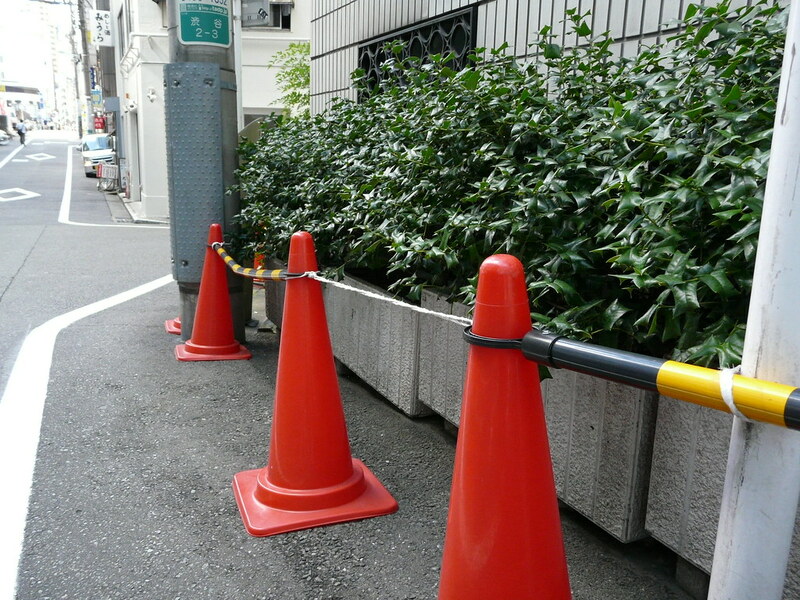 Chair + Sign = ‘Official’ No Parking Zone in Shibuya side street. 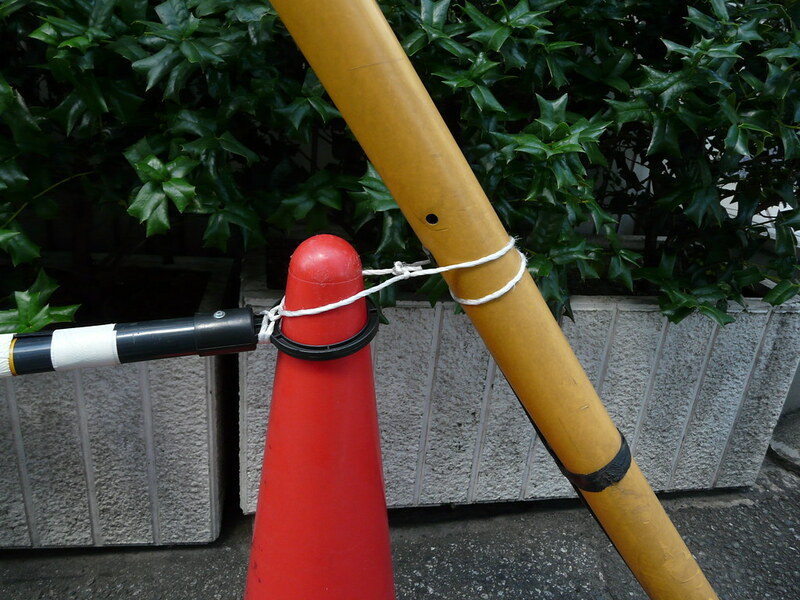 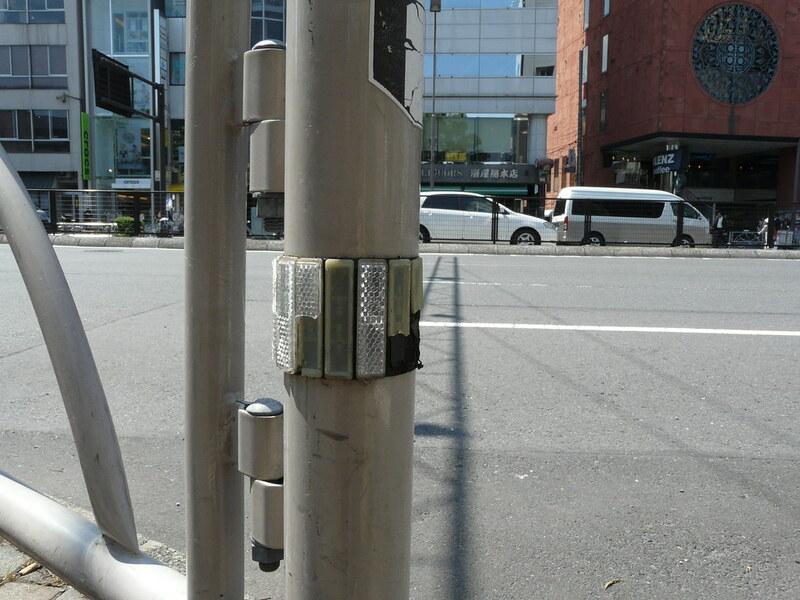 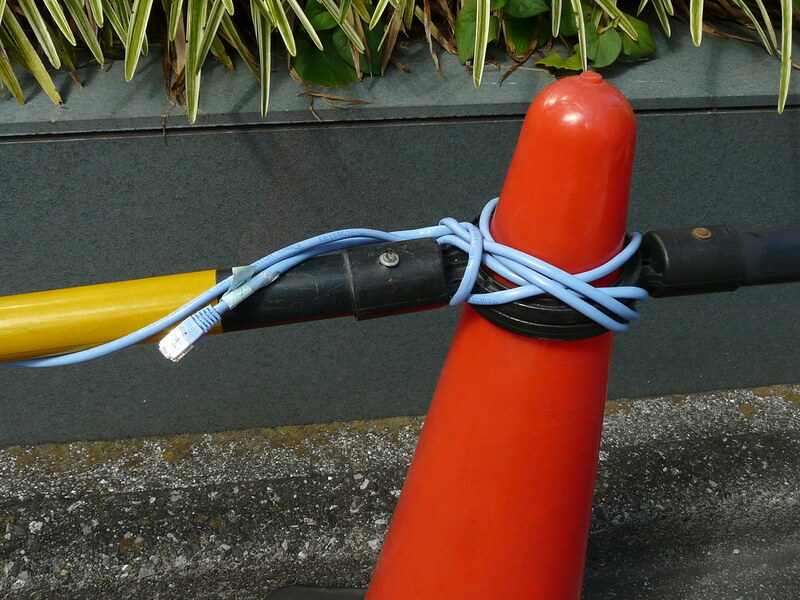 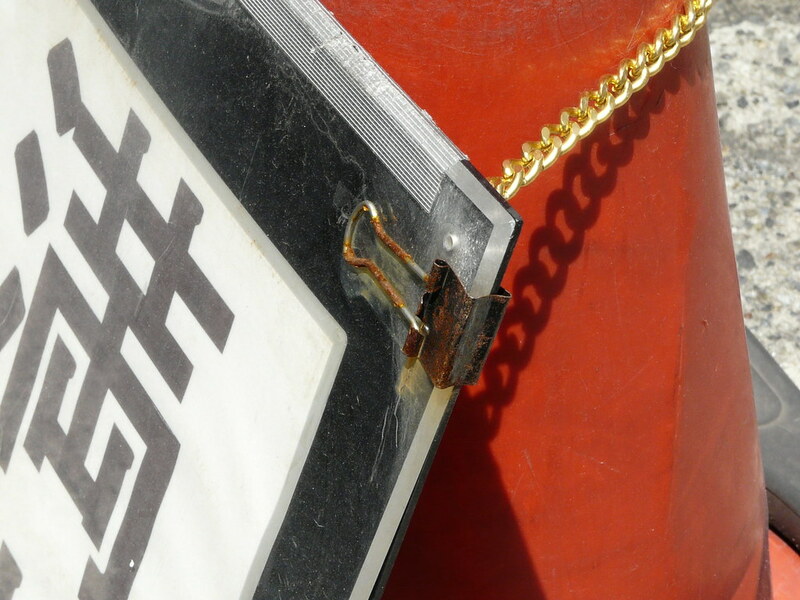 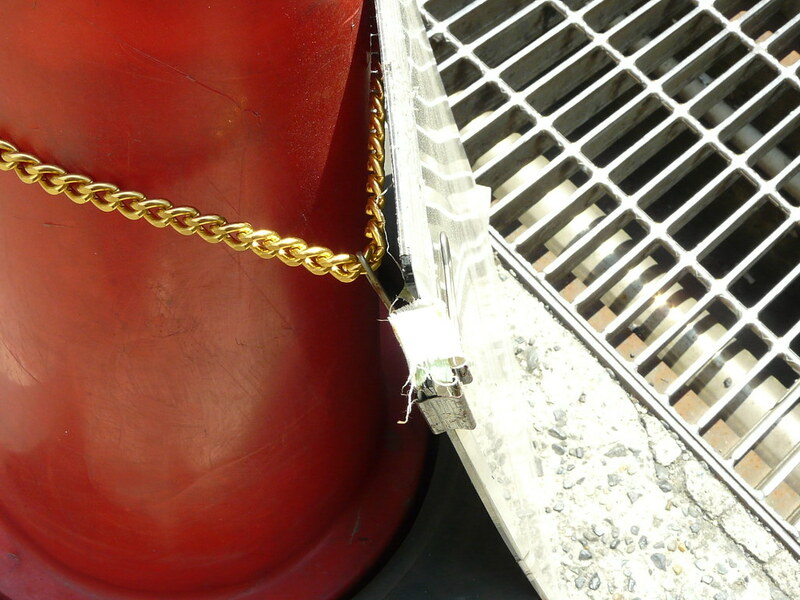 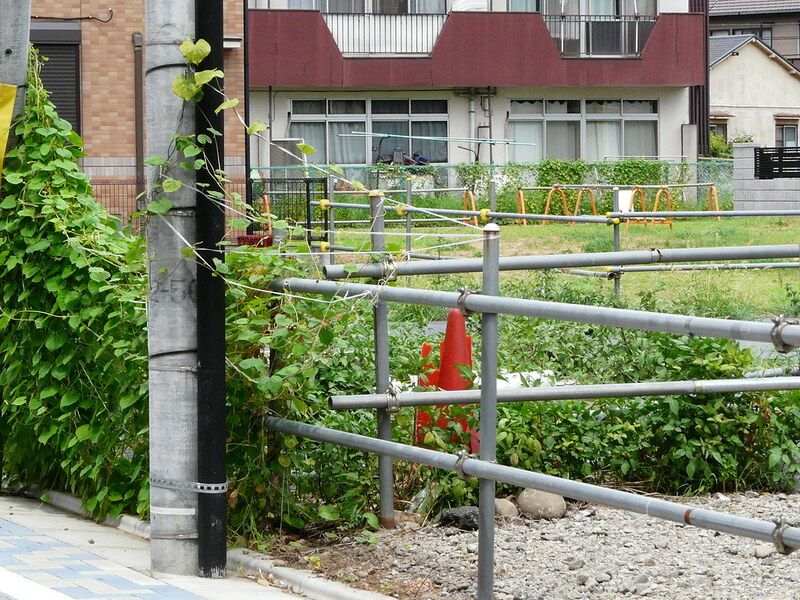 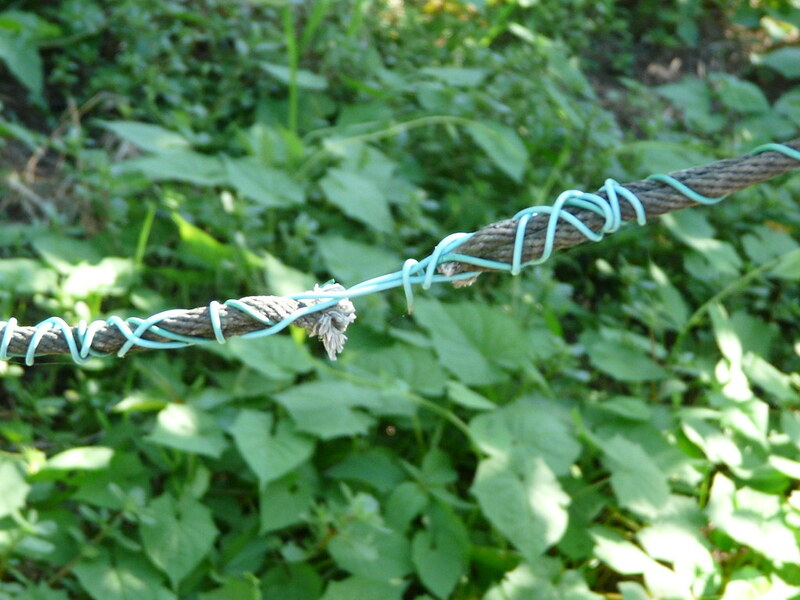 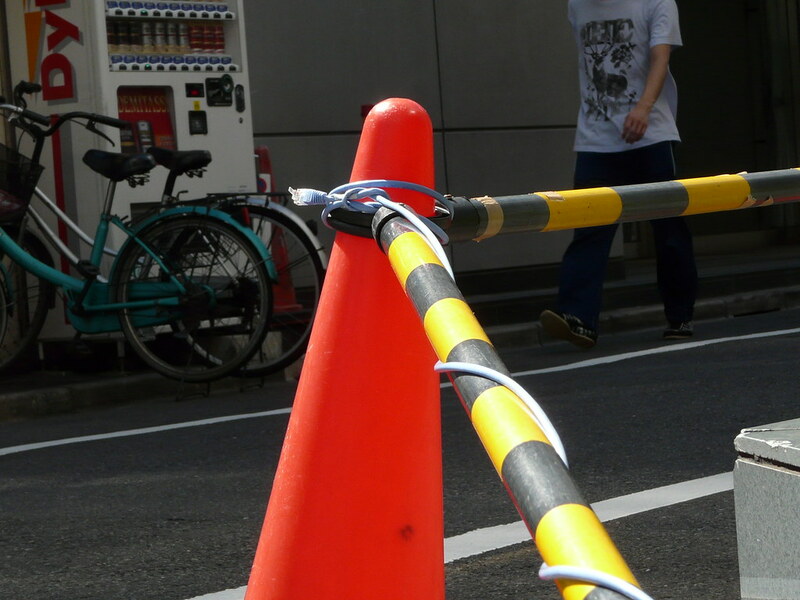 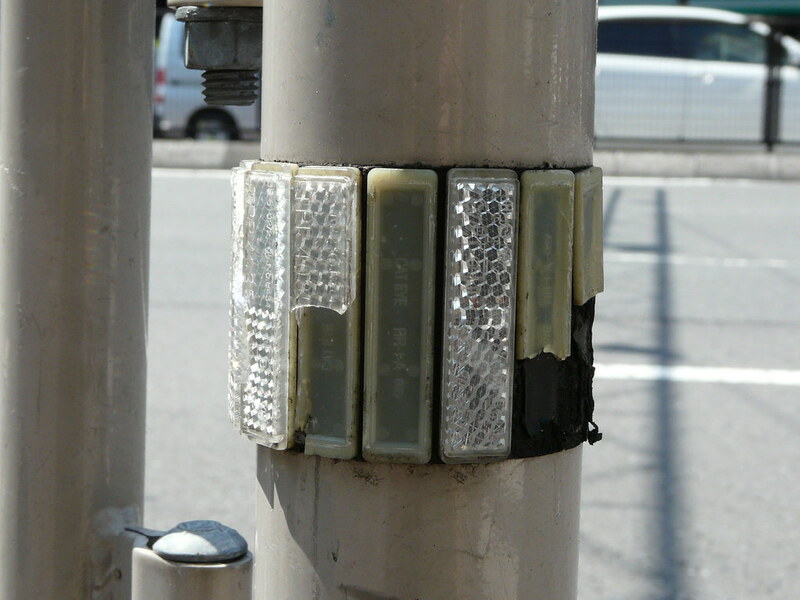 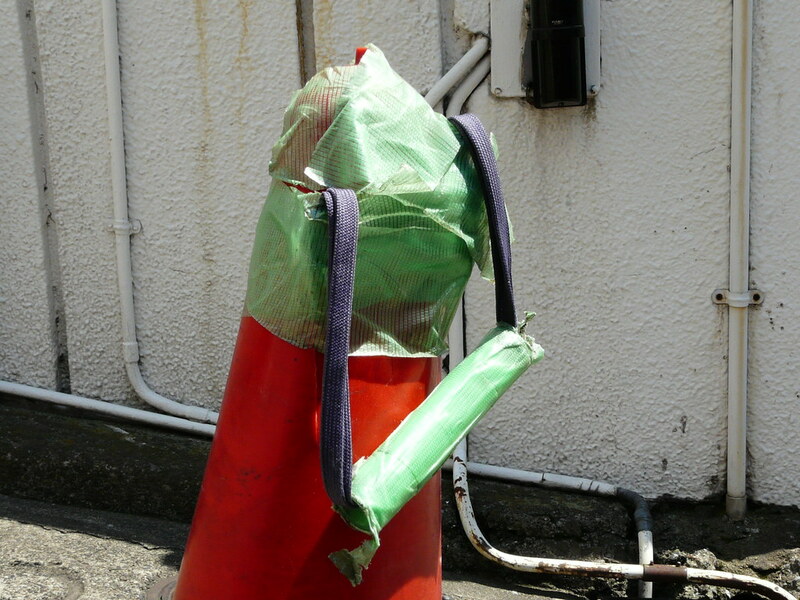 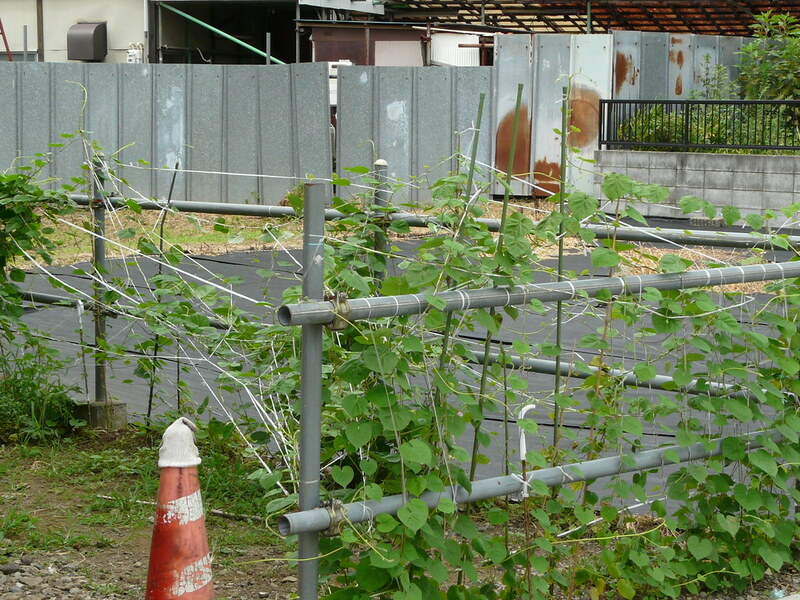 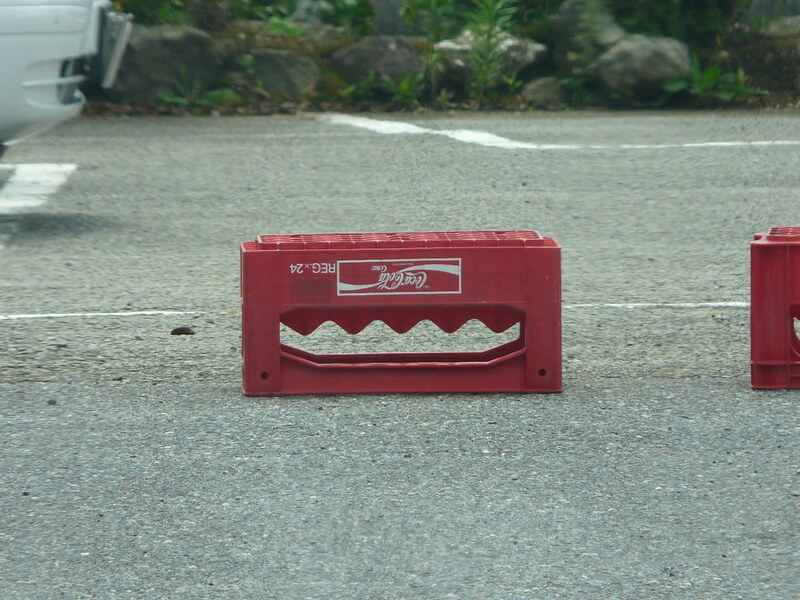 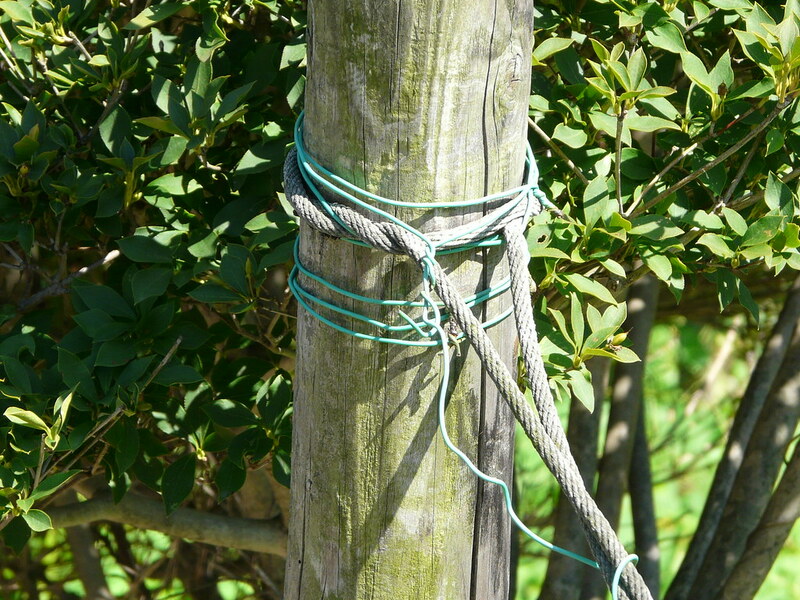 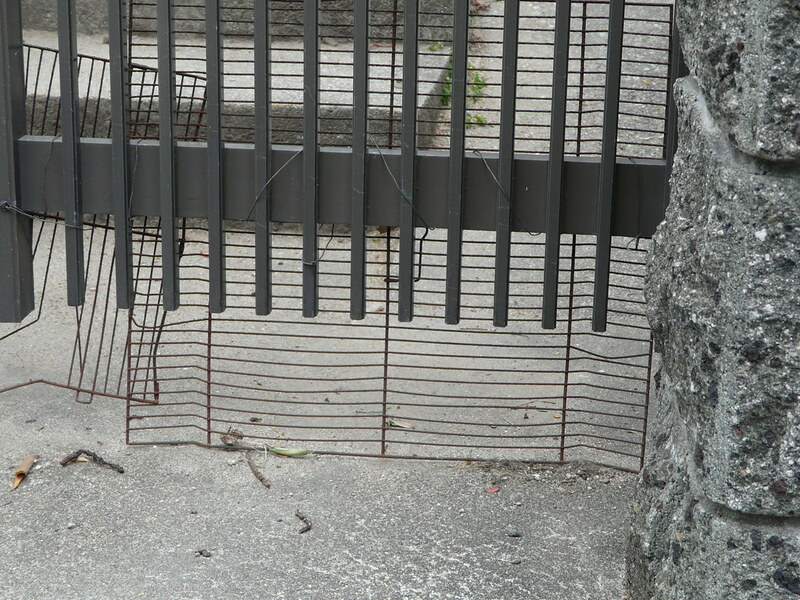 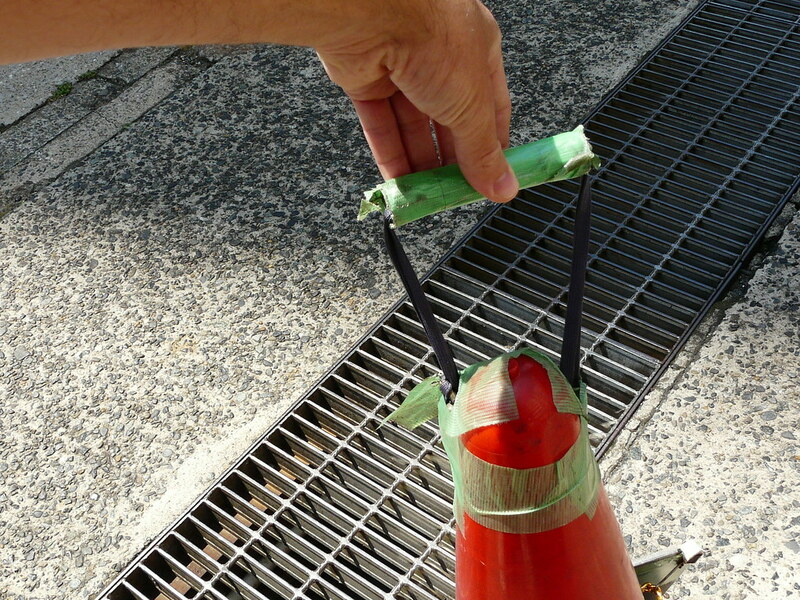 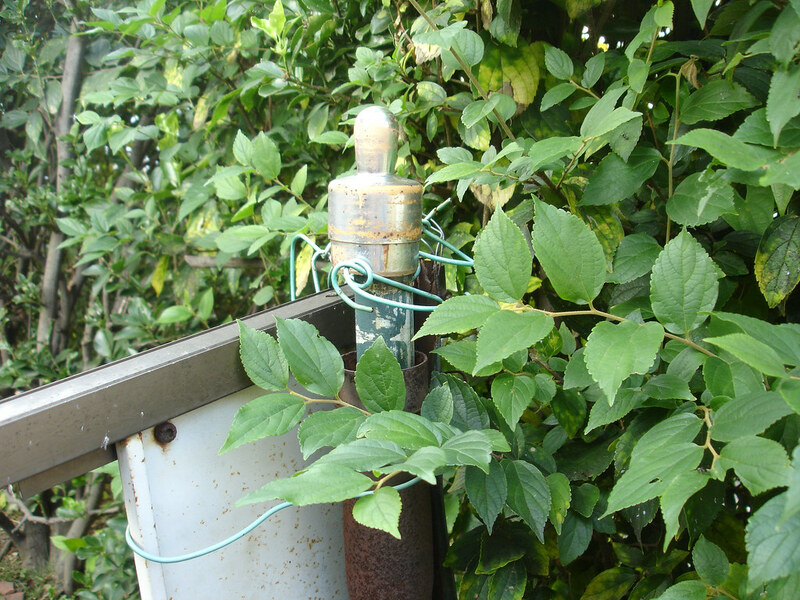 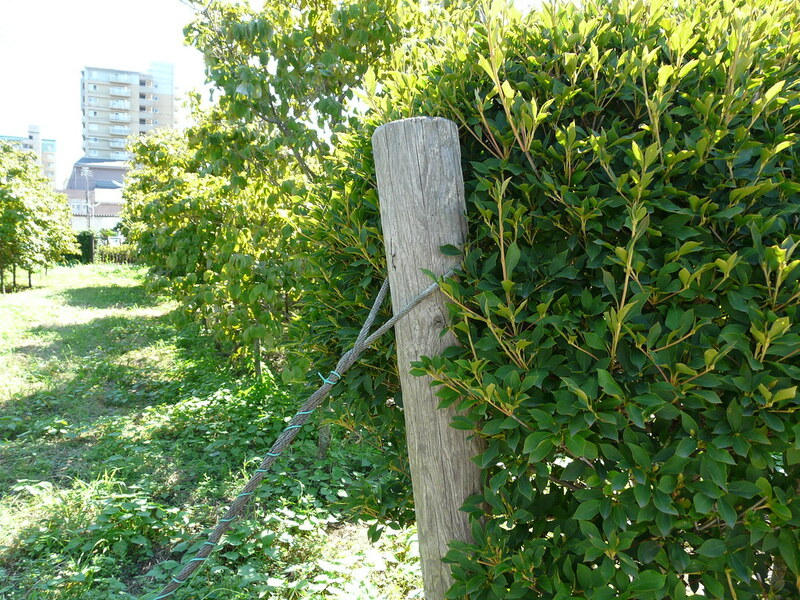 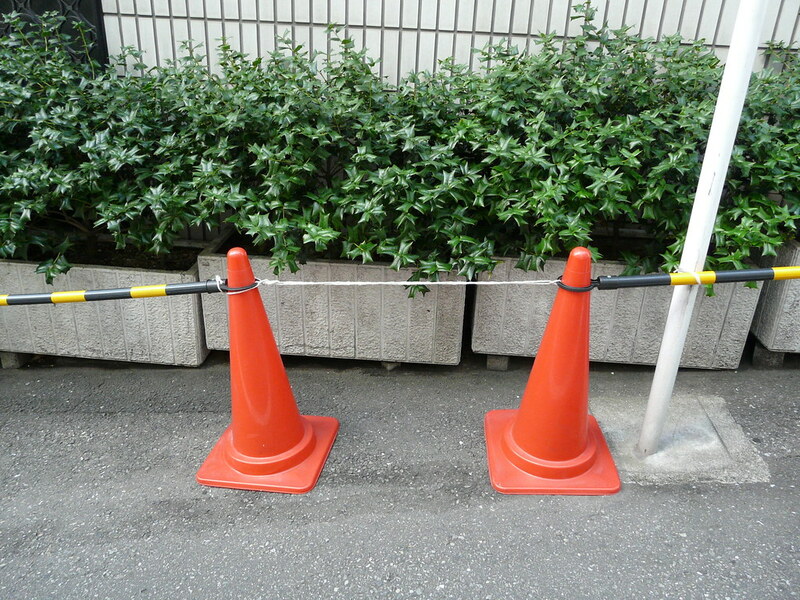 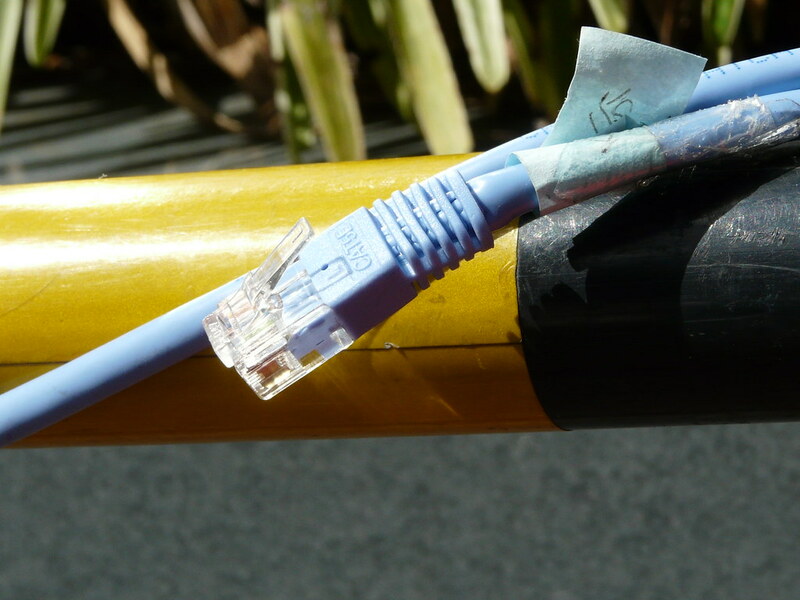 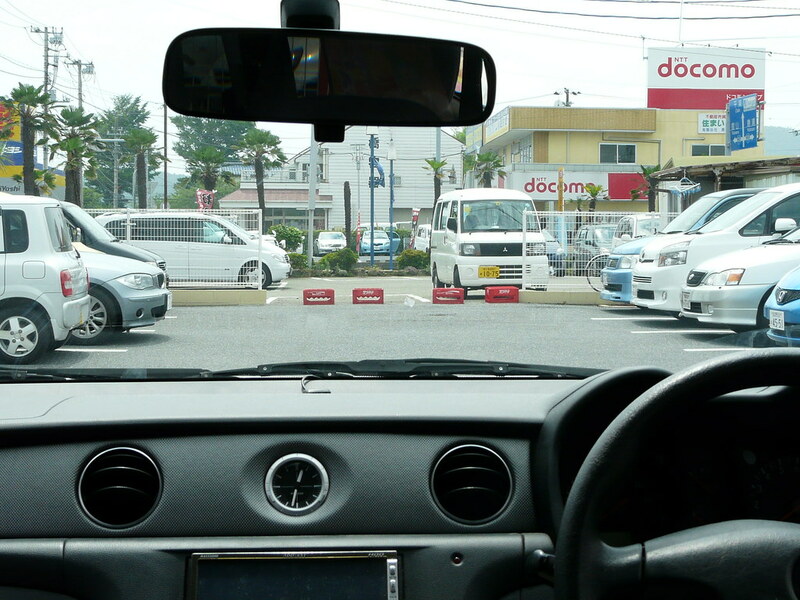 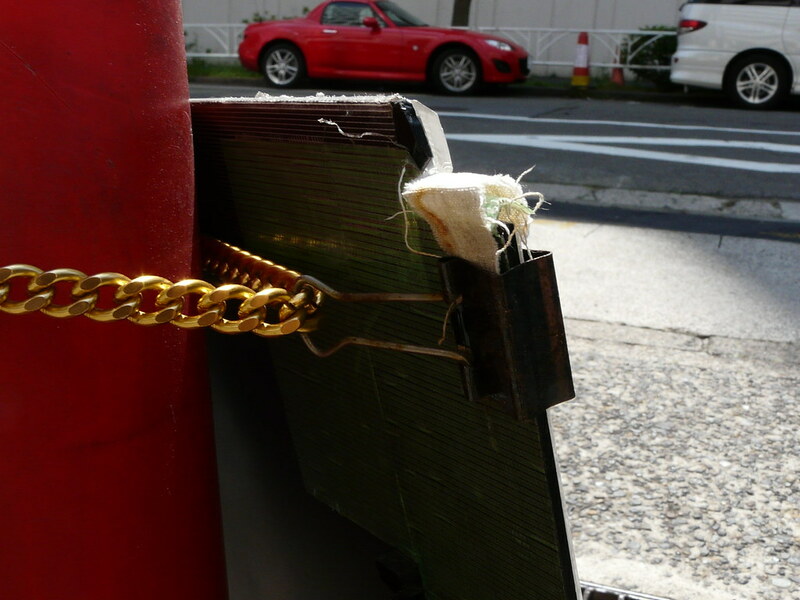 A roadside barrier is held together with a LAN cable. 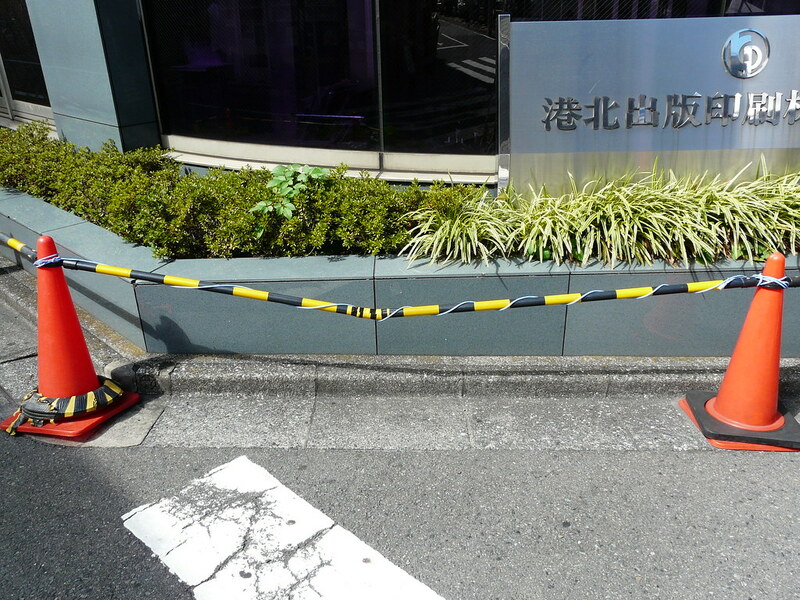 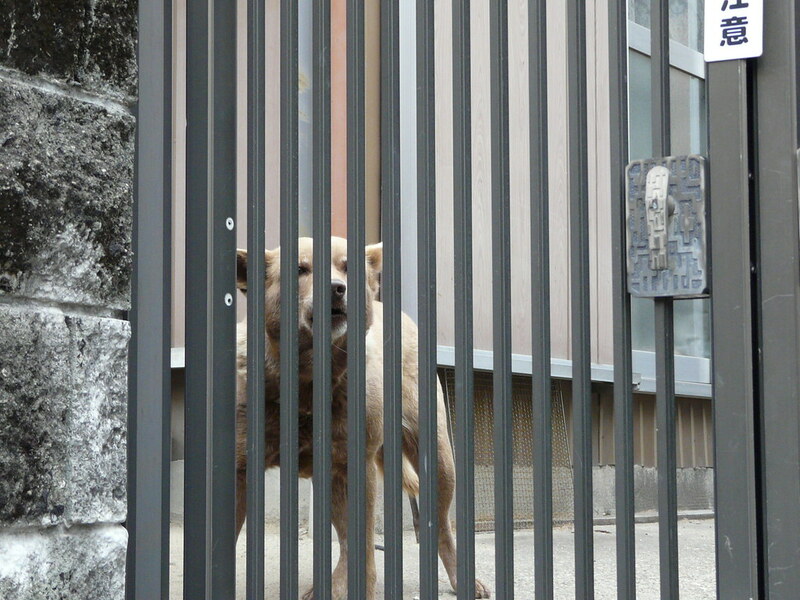 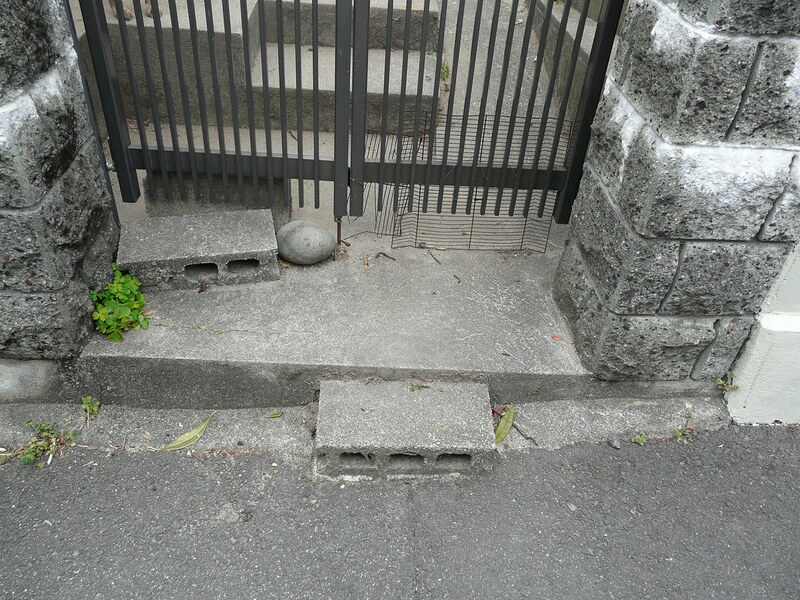 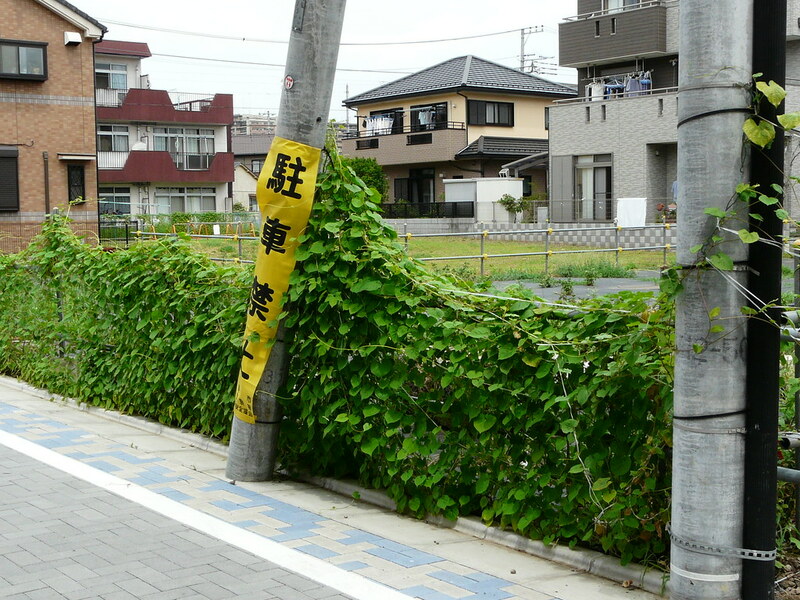 I’m still not clear on the purpose of this barrier, however. 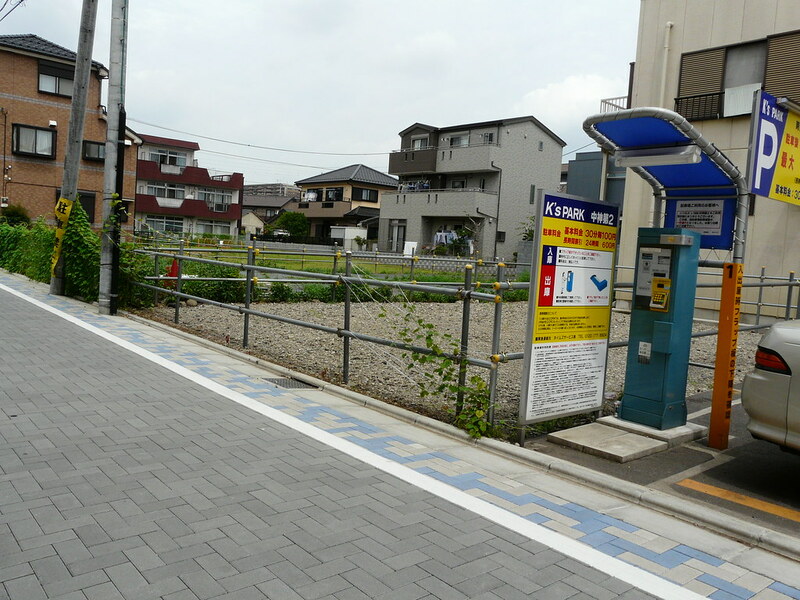 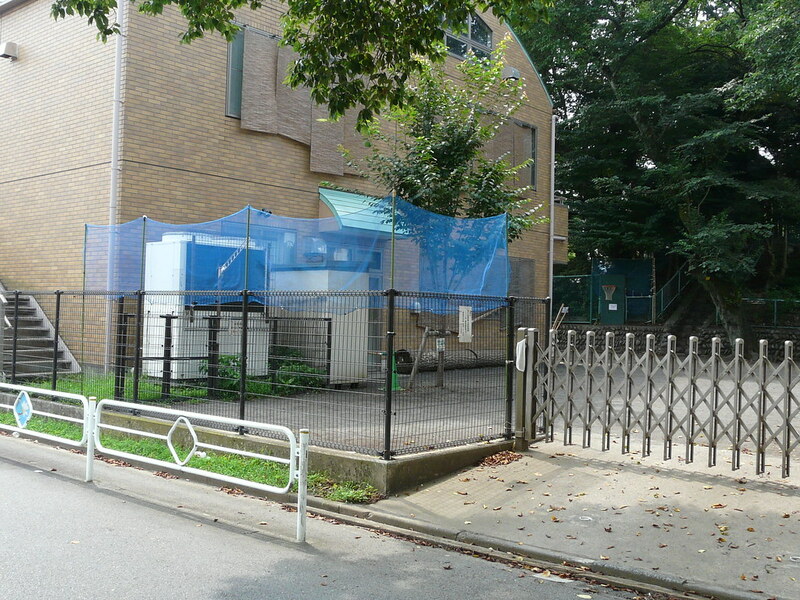 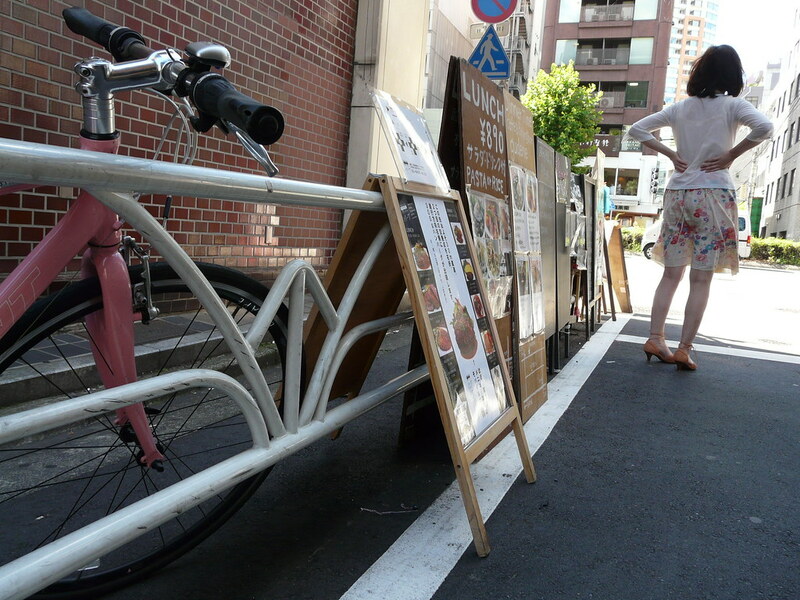 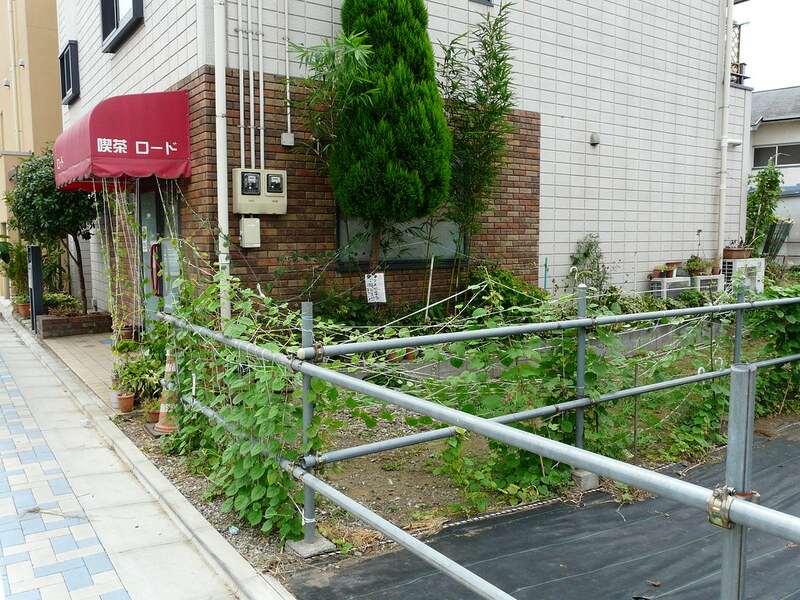 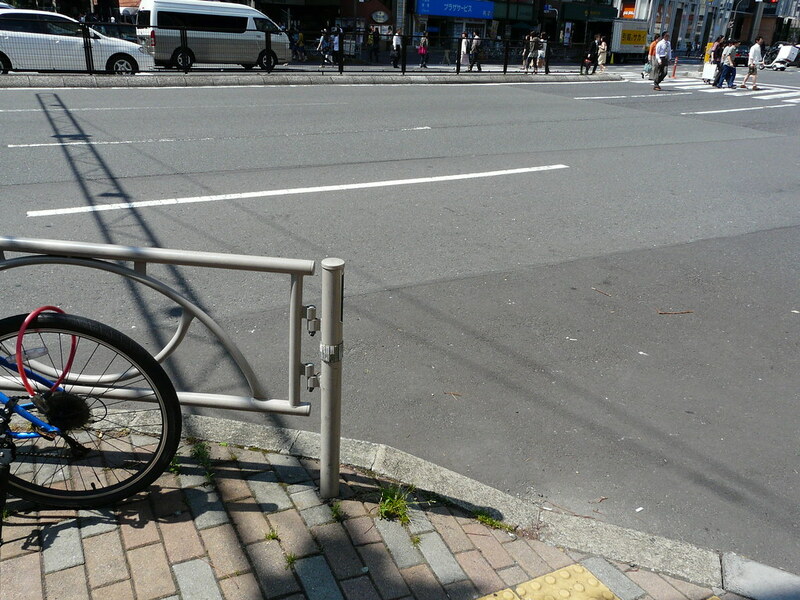 I think it is to discourage bicycle parking, as seems to be the function of most ‘official’ barriers in the area. 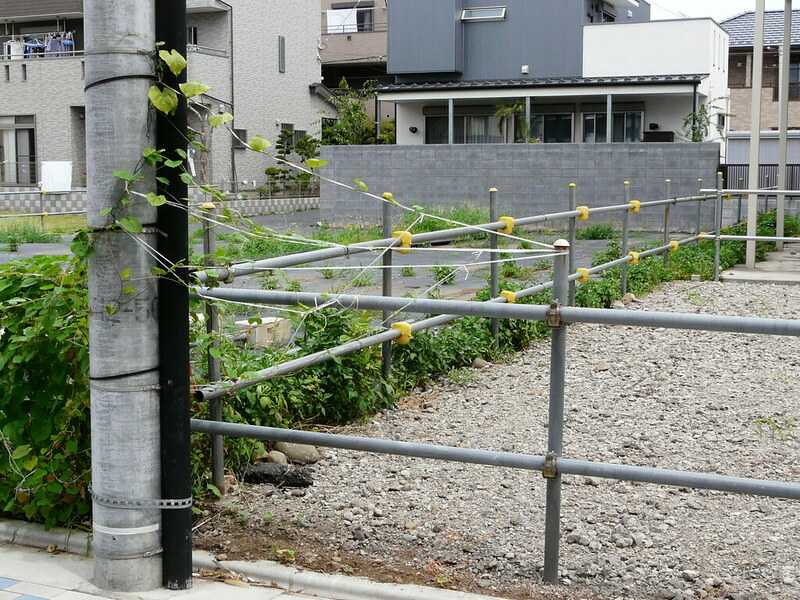 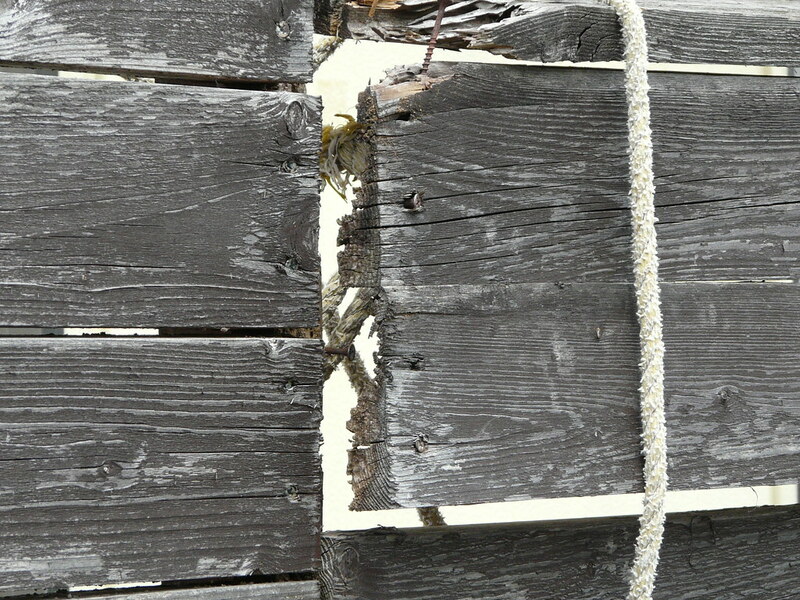 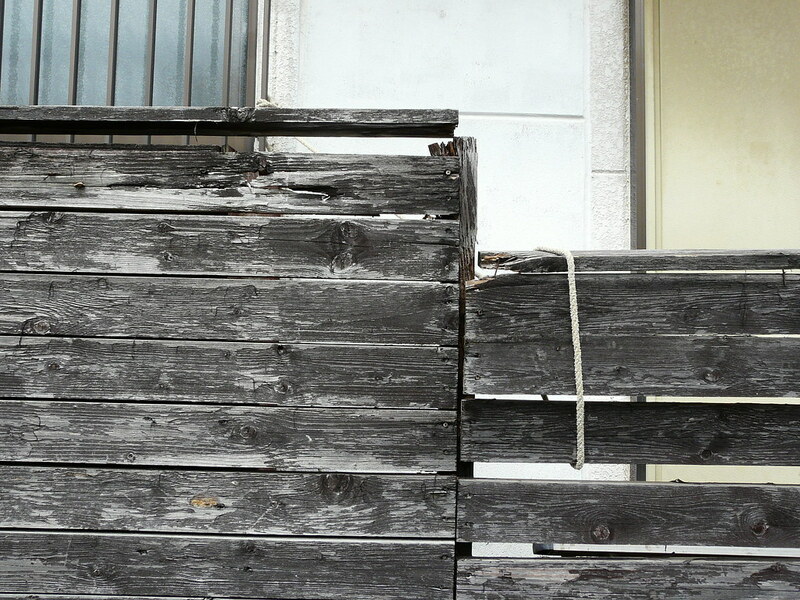 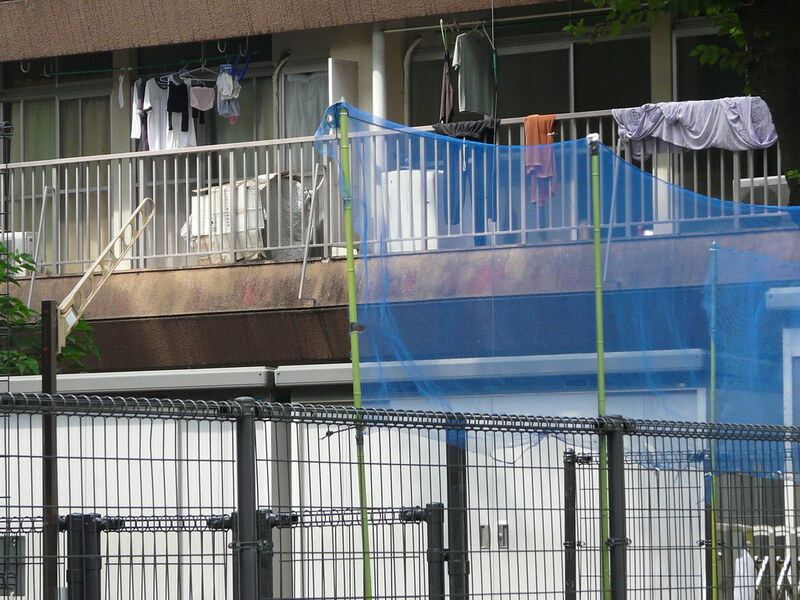 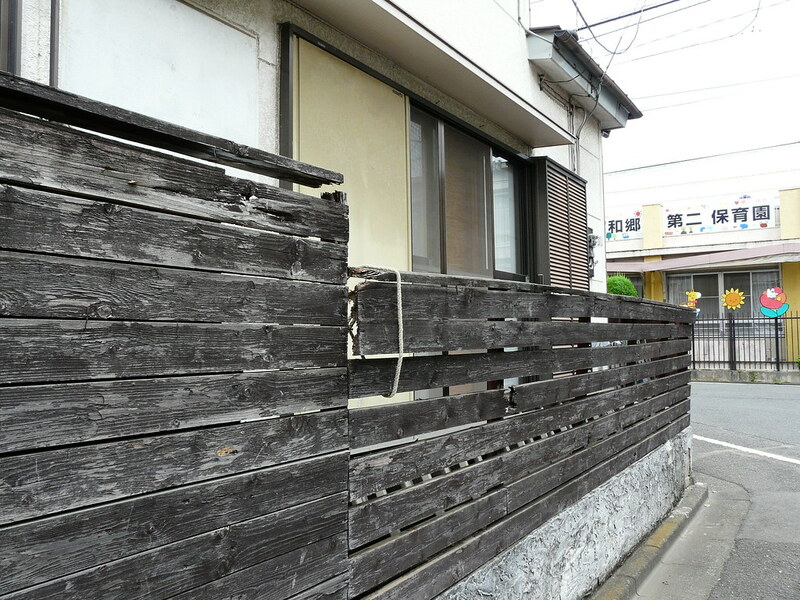 Residential fence held together with a length of rope. 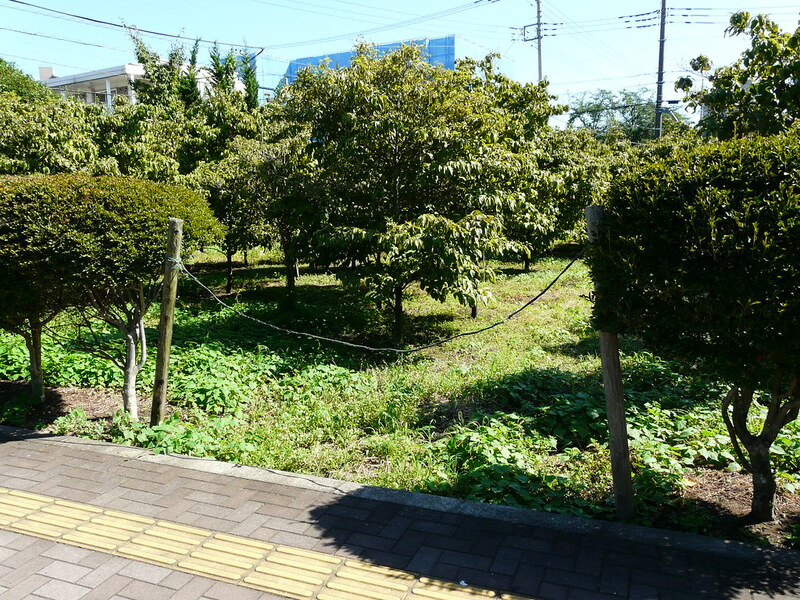 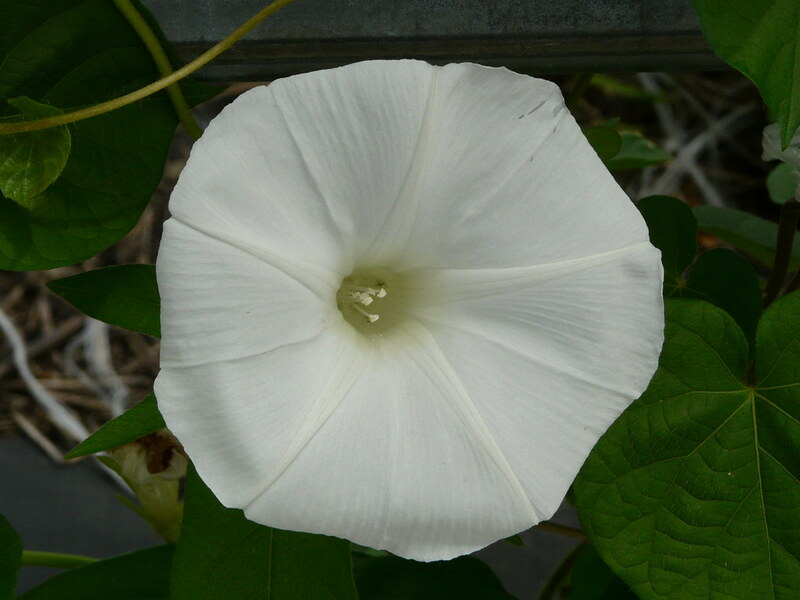 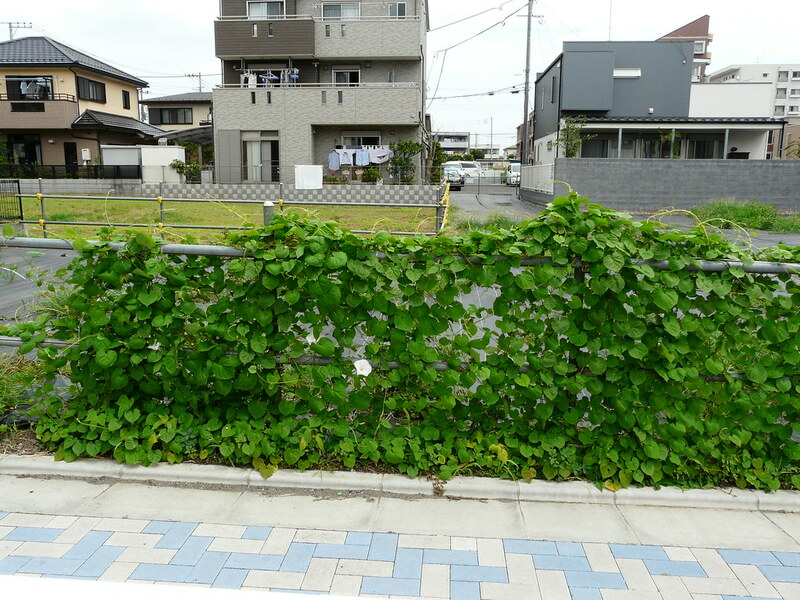 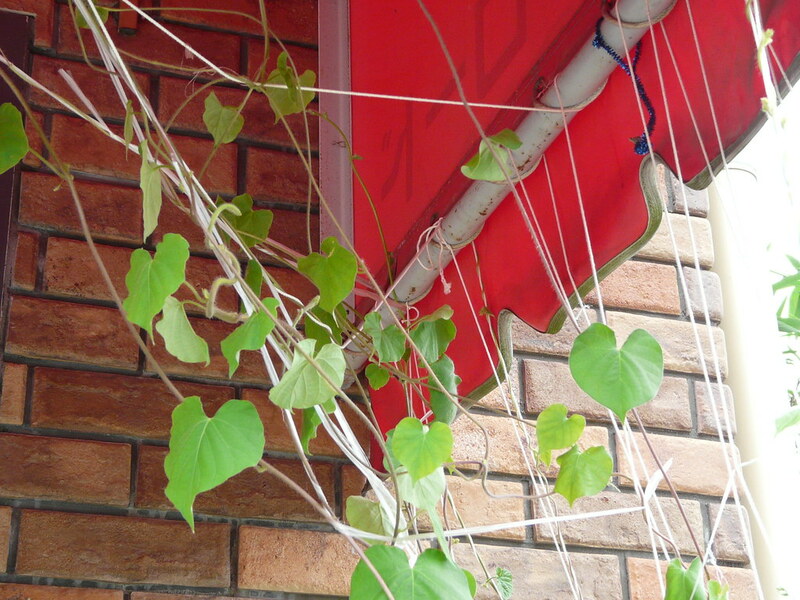 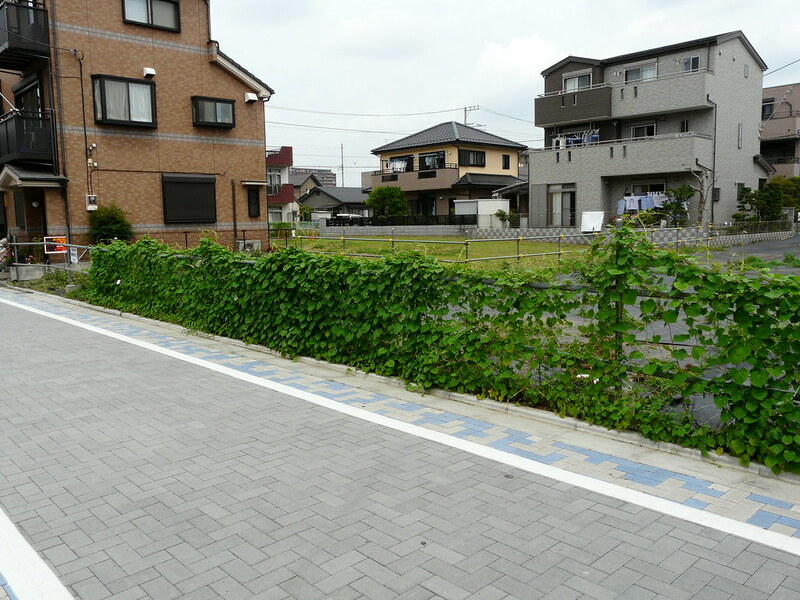 In a neighbourhood bordering a new subdivision. 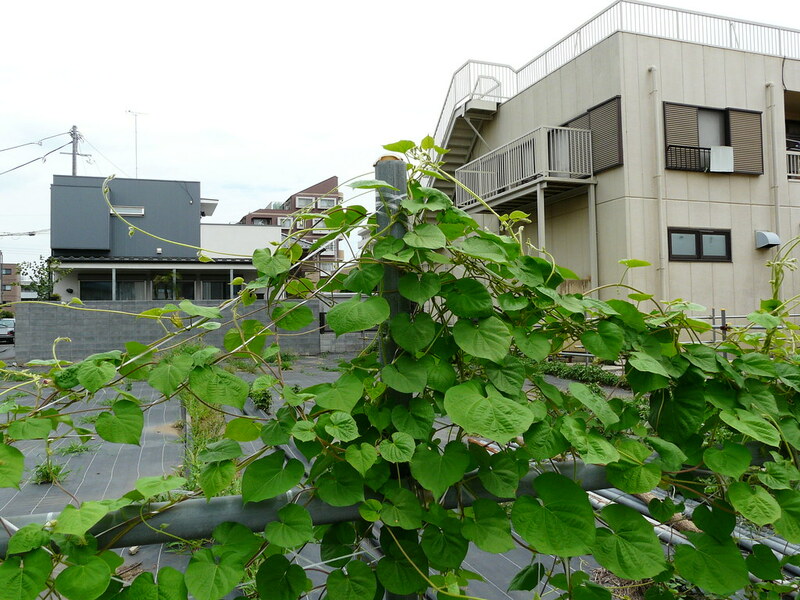 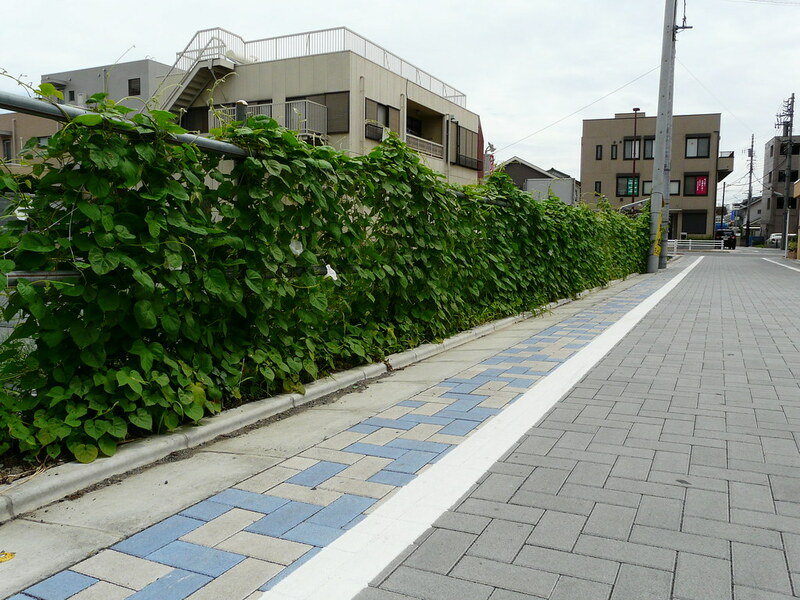 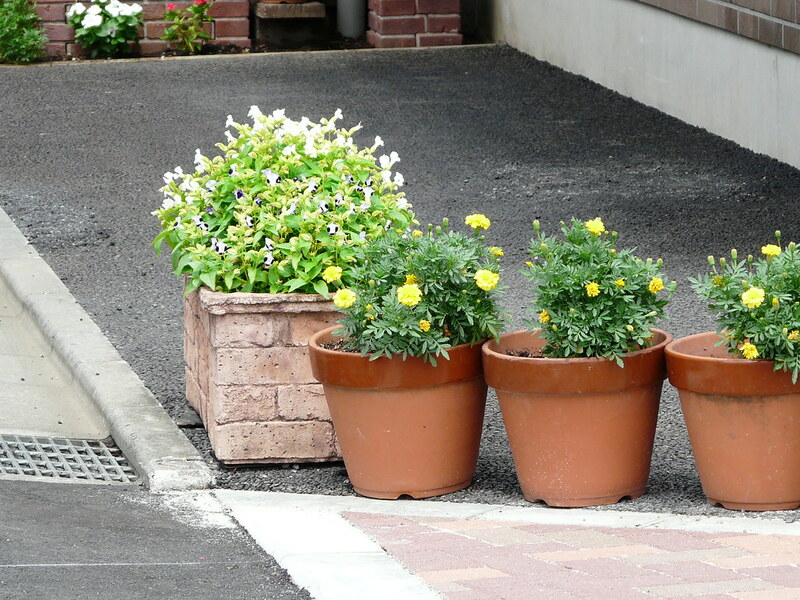 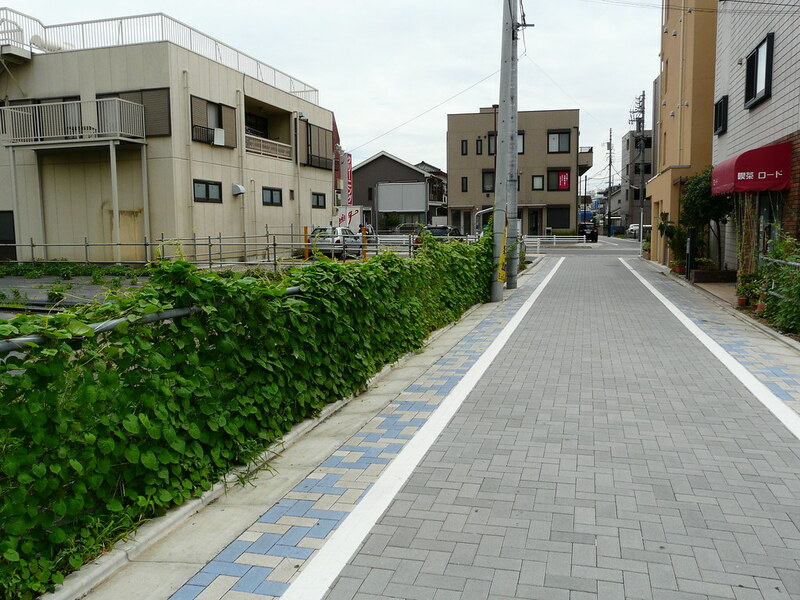 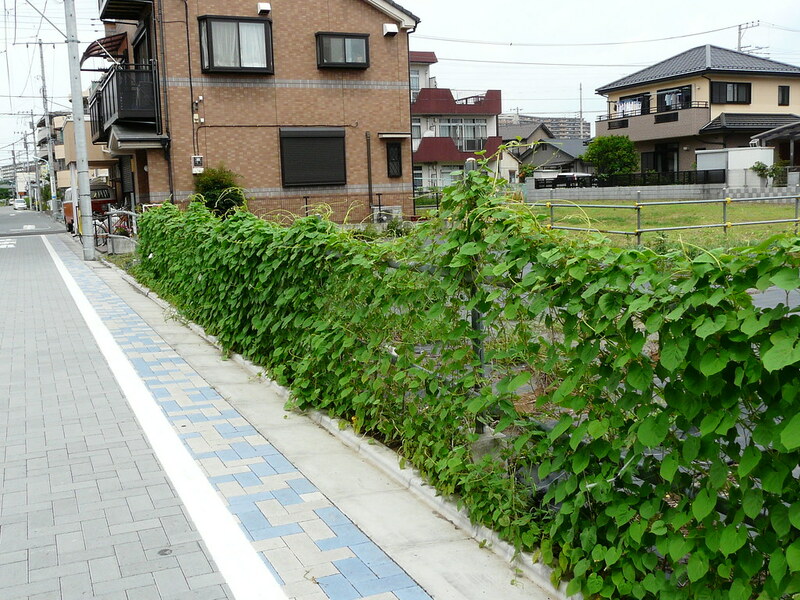 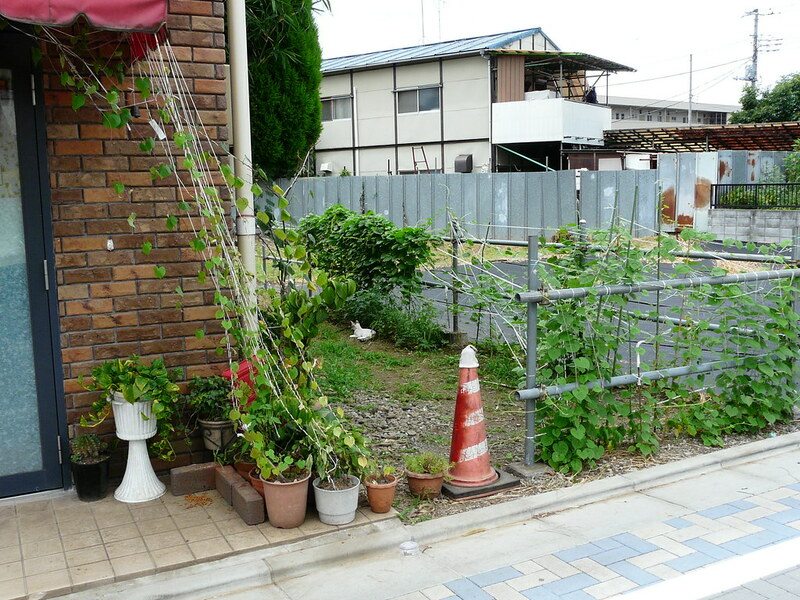 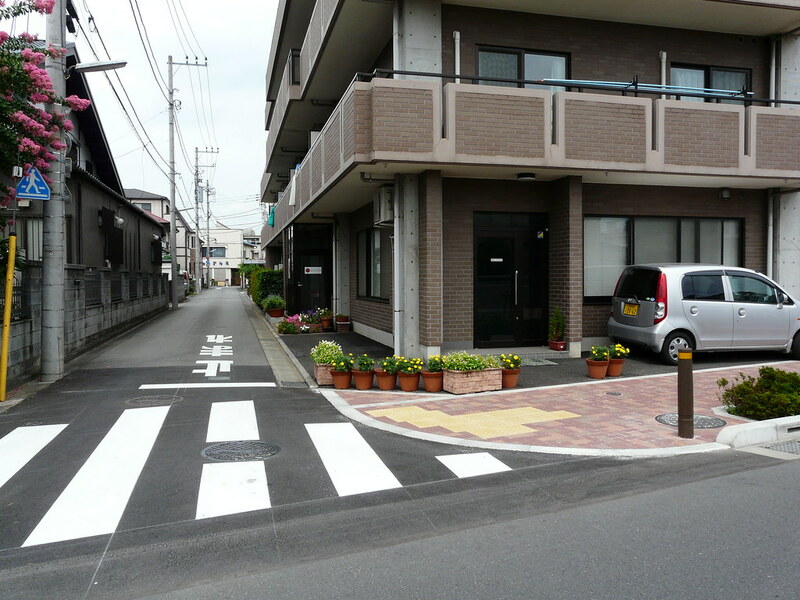 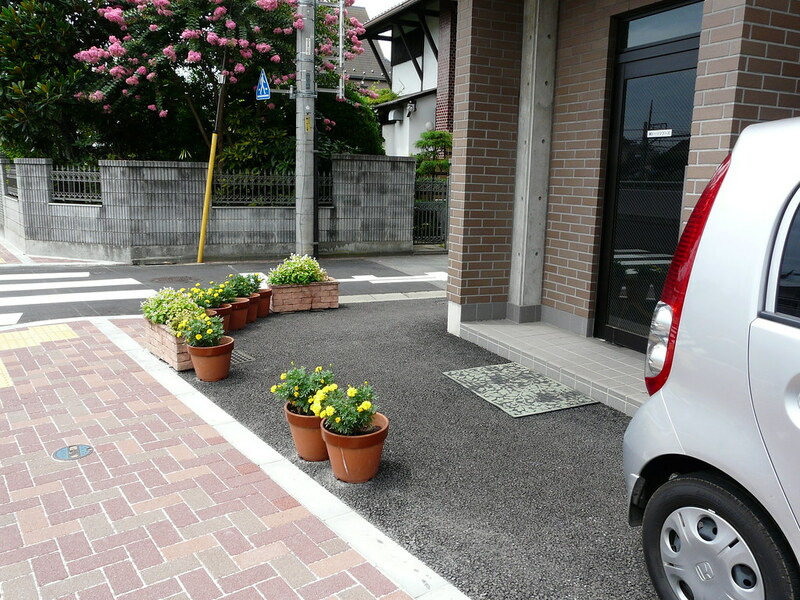 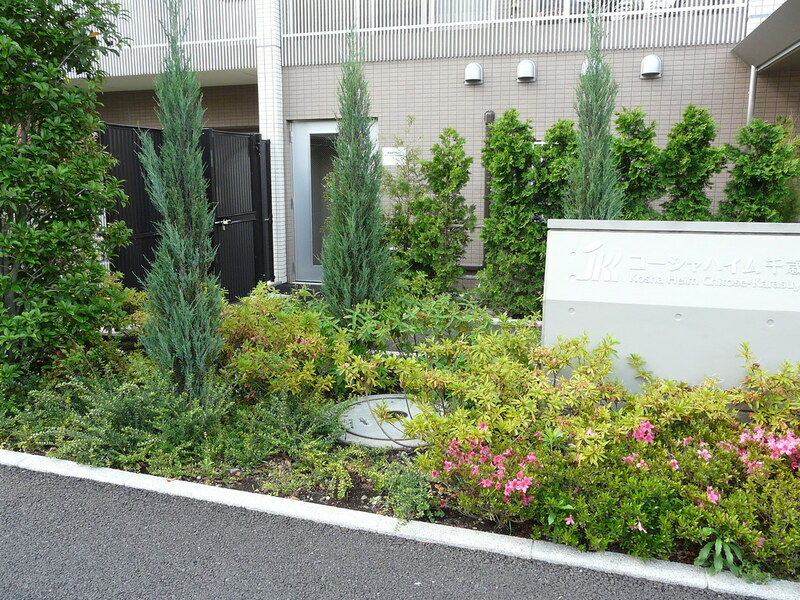 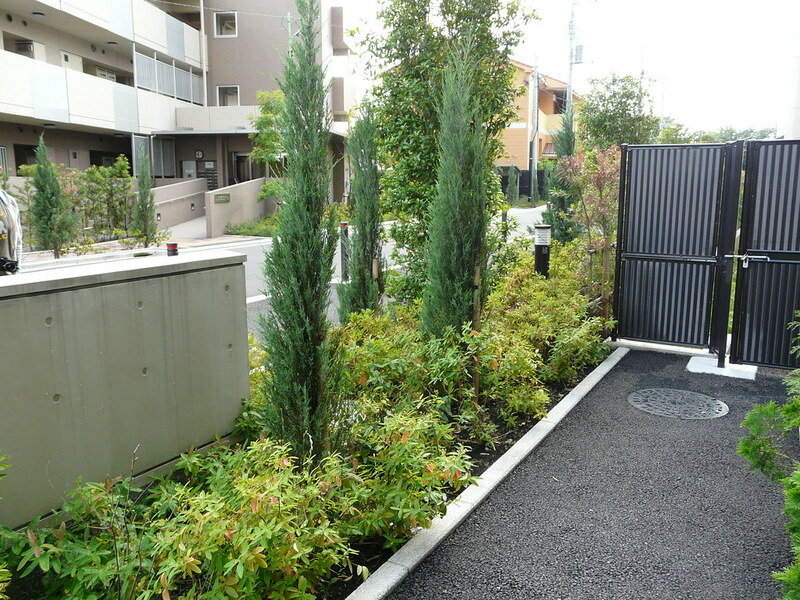 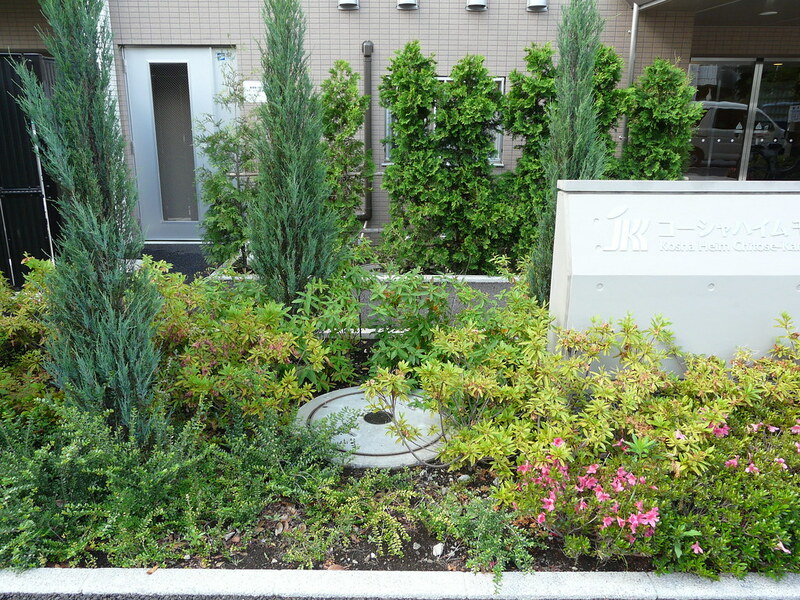 Pot plants outside a suburban residential office demarcate parking space, prevent cyclist curb-cutting (safety), set the limits of the official office zone of use, and beautify. 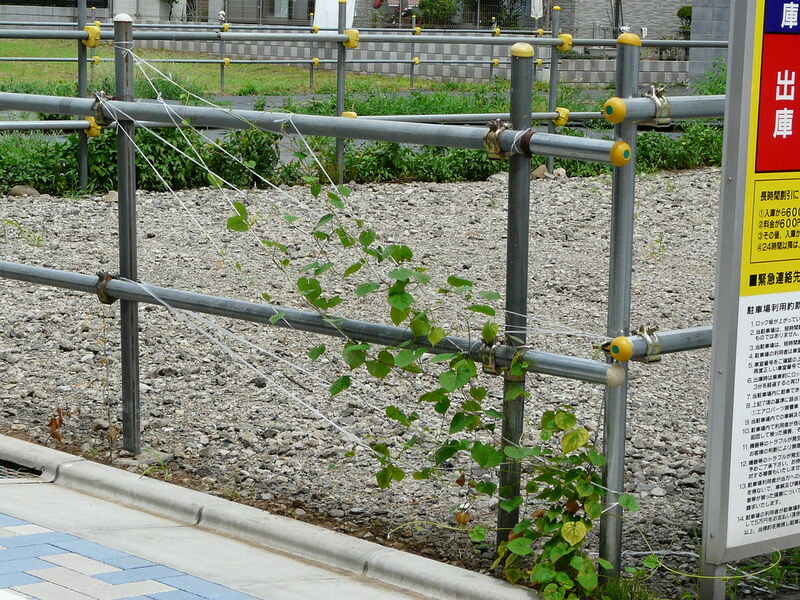 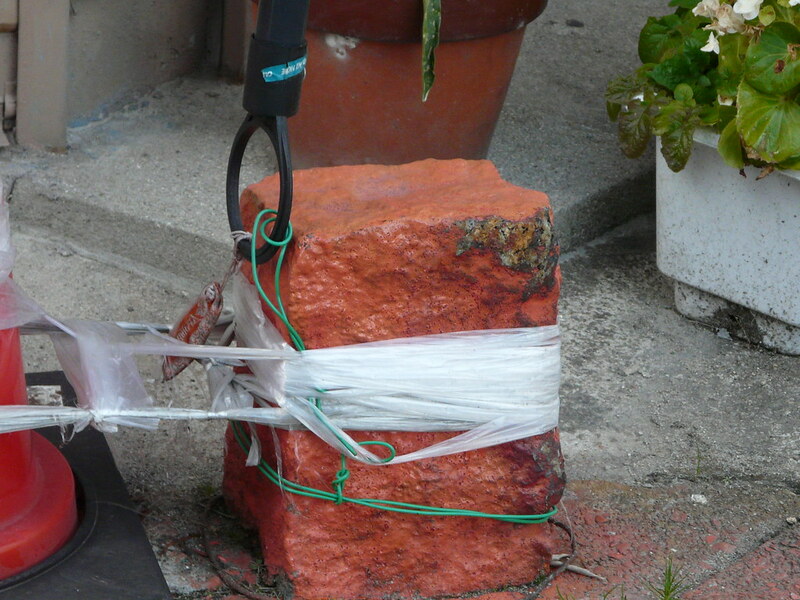 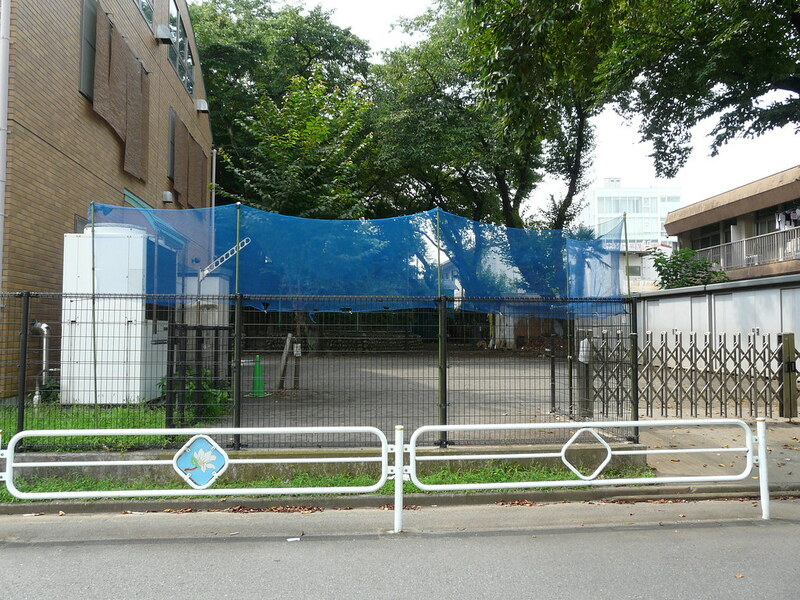 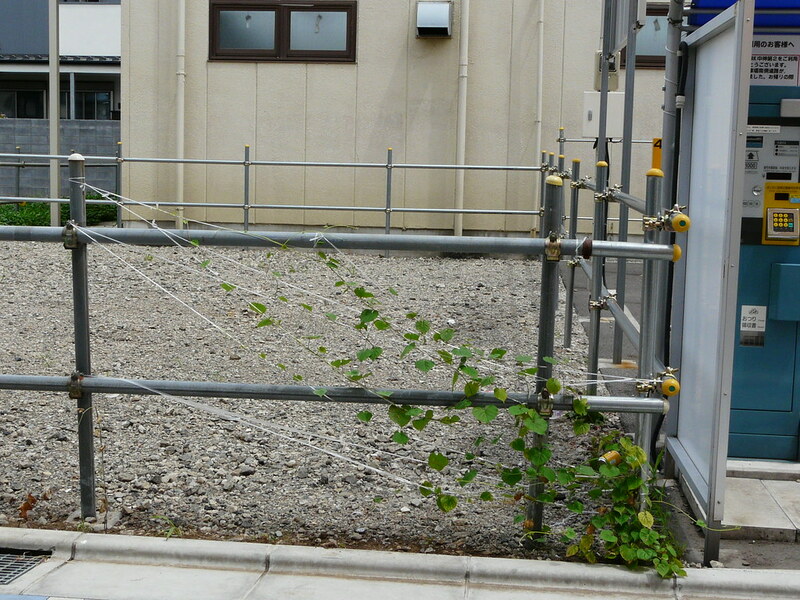 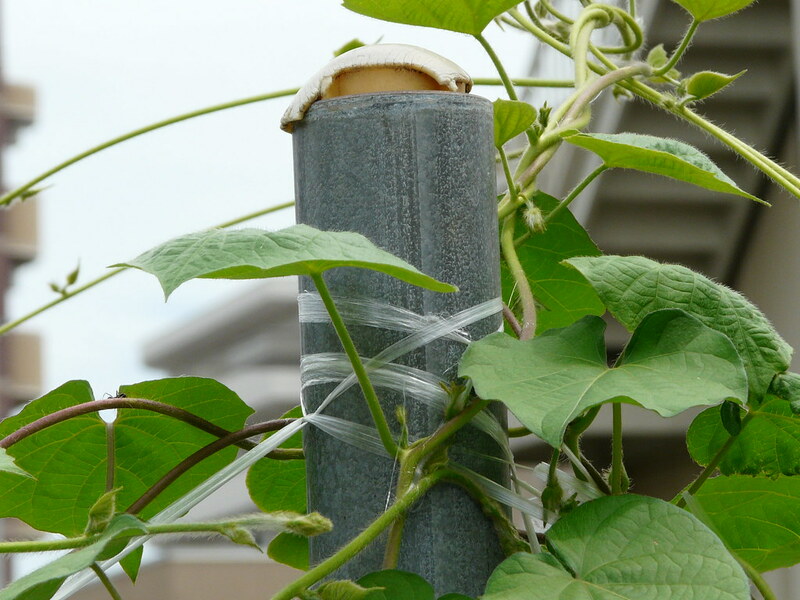 Rope barrier/gate reinforced, strengthened and given weight (helps stop it swinging in the breeze) with wire wrapped around its length.